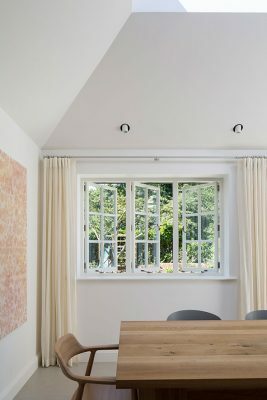 One of many beautiful photos recently taken at our Hampstead Garden Suburb project. 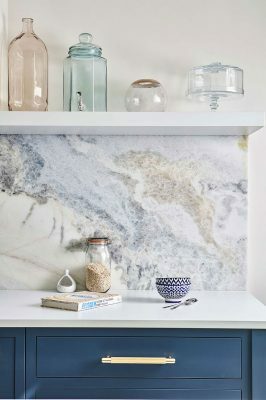 The marble splash-back subtly picks up on the blues and whites from the kitchen – mesmerising! 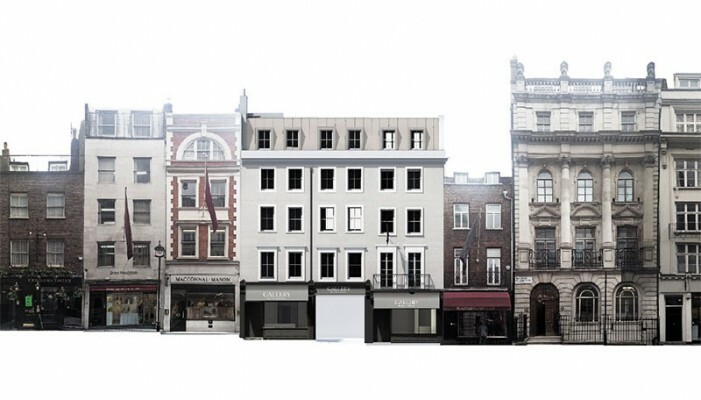 We have just been engaged to work on an exciting new project in Belgravia. Great news to start off 2019! 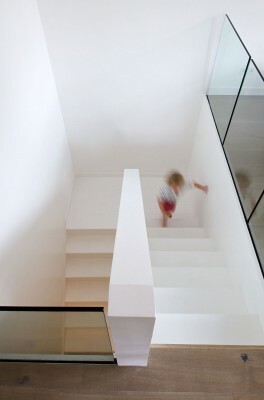 Less is definitely more at our Primrose Hill House project! A new double height space at the front of the property brings large amounts of natural light to the otherwise dark centre of the house. The cleanest you will see our desks all year! 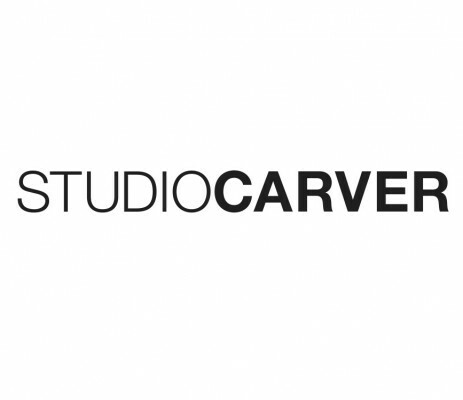 – Happy New Years from all of us at Studio Carver! The BIG reveal! – Crunchie Court – together with Price & Myers our entry to this years Gingerbread City Exhibition. 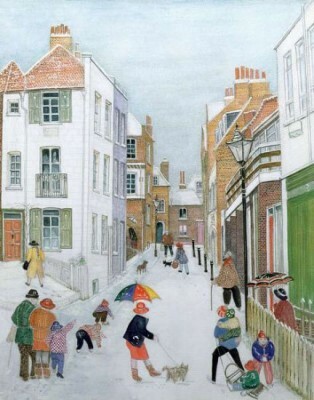 Be sure to find your way to the Victorian & Albert Museum to check out all the ‘sweet’ schemes! A BIG thanks to Museum For Architecture for inviting us to be involved and for everyone’s HUGE efforts in bringing it together! 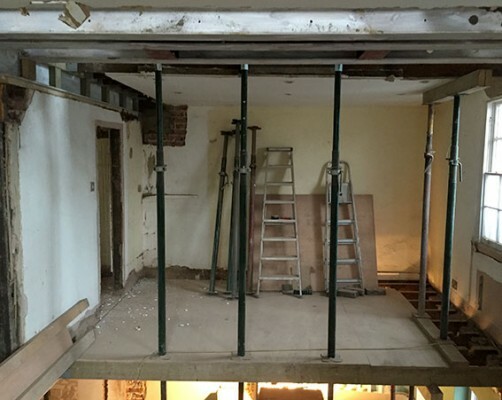 After careful coordination and detailing the exposed structural steel at our Kentish Town project is taking shape. 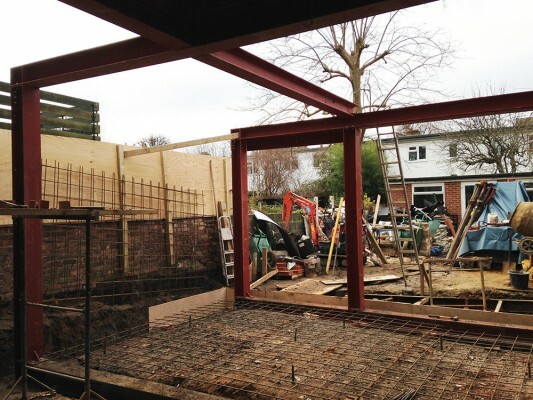 When complete the steelwork will be frame views of sky and the garden, allowing large openings and natural light to flood the space. 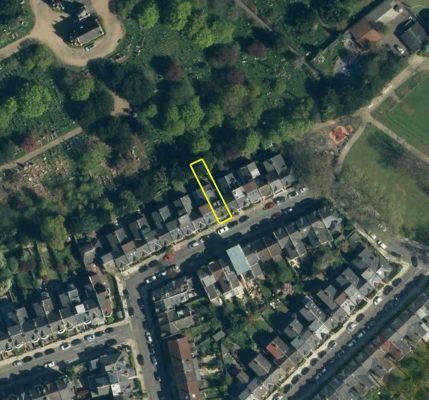 We are trilled to get our Brook Green House project out to tender – with works scheduled to start on site early in 2019! F2 meet F2! The plywood carcass for our Primrose Hill project stair is being installed. 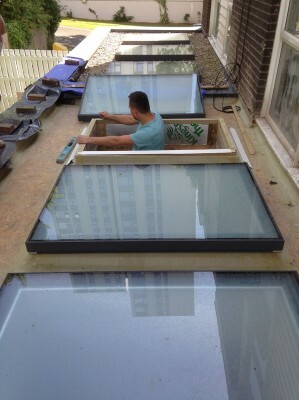 Each piece fits together like puzzle, allowing for a quick and efficient installation on site. When finished the plywood will be clad in grey stained oak – we can’t wait to see the finished product! The contractor at our Primrose Hill project is making great progress and we are on track to finish ahead of programme! Concrete retaining walls are poured and the extension roof is in place. We have been working on this project since 2016 and it is such a joy to see everything taking shape. 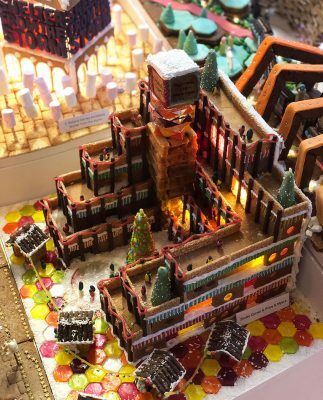 We are excited to be participating in this years Gingerbread City at the Victoria & Albert Museum. 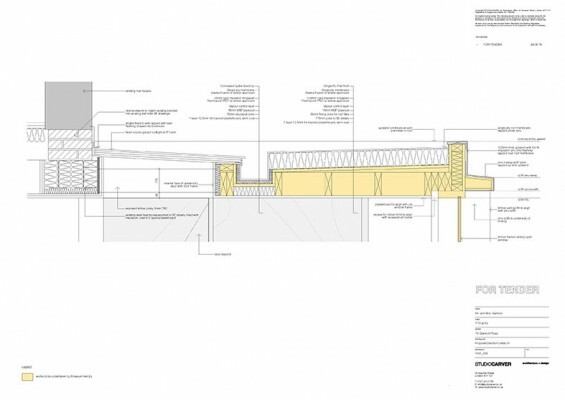 We have teamed up with the structural engineer’s Price & Myers – who will ensure our proposal stands up! …and who are quietly far superior bakers! All the steel work at our Kentish Town project in North London is exposed and visible. 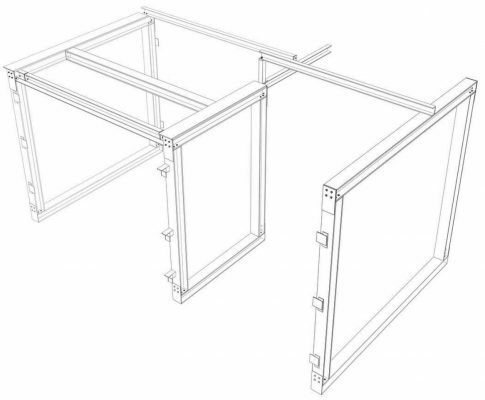 This adds complexity to the steel frame and connections, requiring careful collaboration between ourselves, the structural engineer and contractor. Getting there is a challenge but it will be amazing when finished. We are A L M O S T finished with our project in Tufnell Park. The new stair of oak and lacquered paneling leading to the mansard roof extension is installed and looking fantastic. Concept designs for an exciting (and challenging) new project in the heart of Hampstead Village, North London. Our clients asked for an arch, so we gave them one! 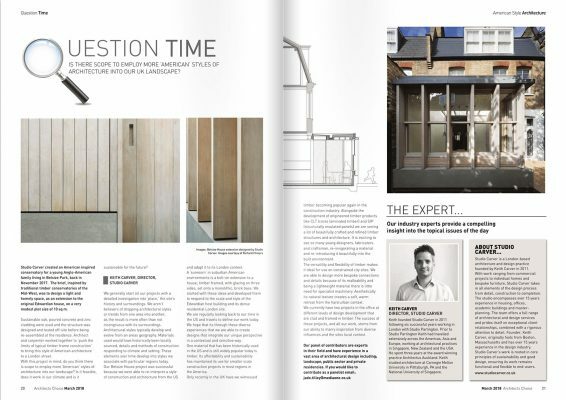 We are thrilled to feature in this months I-Build Magazine. 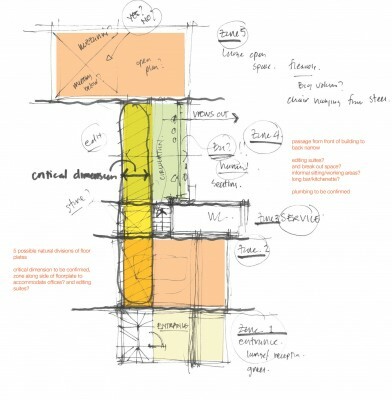 A fantastic seven page spread covering the collaborative approach between client and architect. 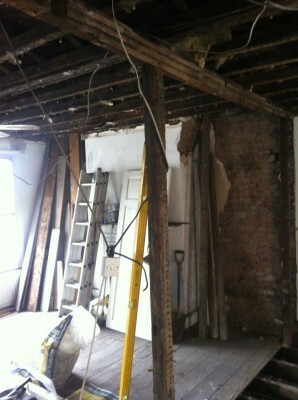 Demolition is well underway at our project in Primrose Hill. 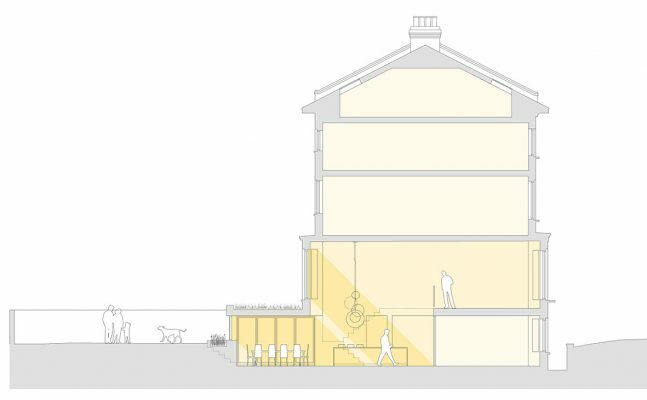 A double height space at the front of the house has been introduced to provide better connectivity between floors and to bring increased amounts of natural light to the otherwise dark centre of the house. 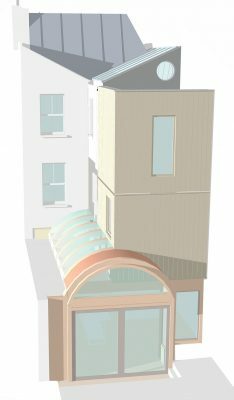 We have today submitted a Planning Application for our new project in Brixton. 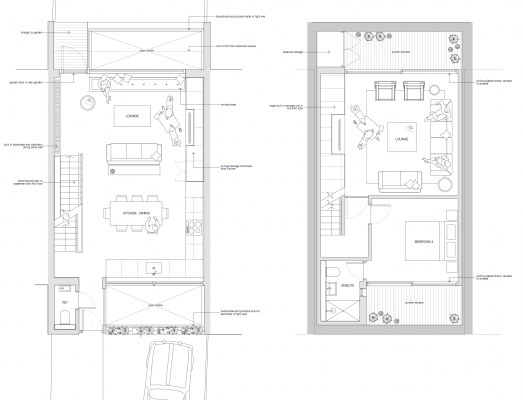 Designs include a timber clad, two storey rear extension and single storey side extension housing a new kitchen. Fingers crossed we hear positive news from Lambeth Council in a few months time. 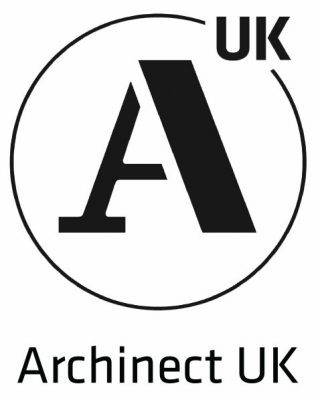 We are excited to now be part of the Archinect community. 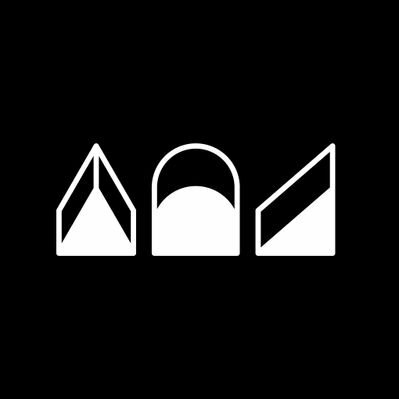 The goal of Archinect is to make architecture more connected and open-minded, and bring together designers from around the world to introduce new ideas from all disciplines. 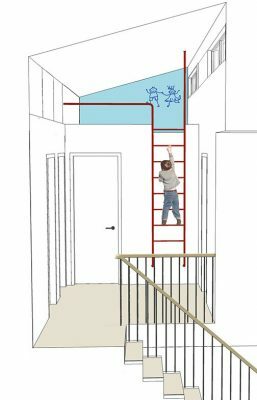 A facetted ceiling – leading to a skylight, draws the occupant up to a new mansard roof extension at our Tufnell Park project in North London. Thrilled to announce that our project in Brook Green, south west London has been granted Planning Consent. Technical designs to commence immediately with construction pegged to start in February 2019. 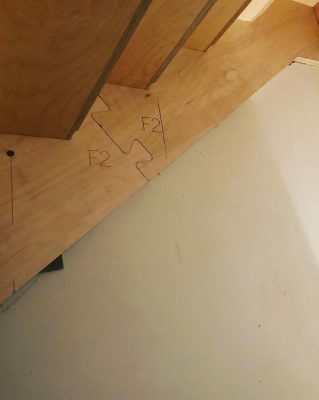 A Note To The Contractor! 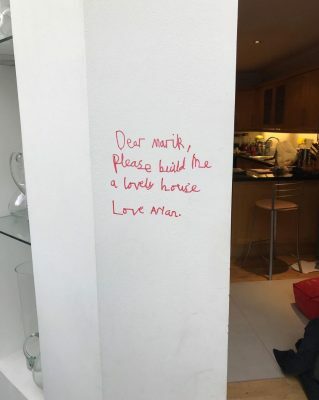 Starting on site in Primrose Hill next month – our eight year old client has left a short note to the contractor. Here’s hoping we can deliver! 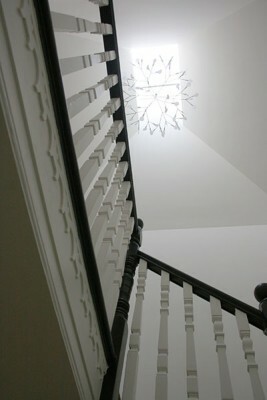 The new stair at our Tufnell Park project in North London has been installed. 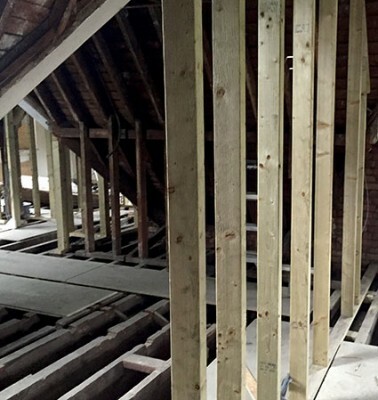 The plywood structural frame will later be clad with oak treads linking the timber floors between levels. 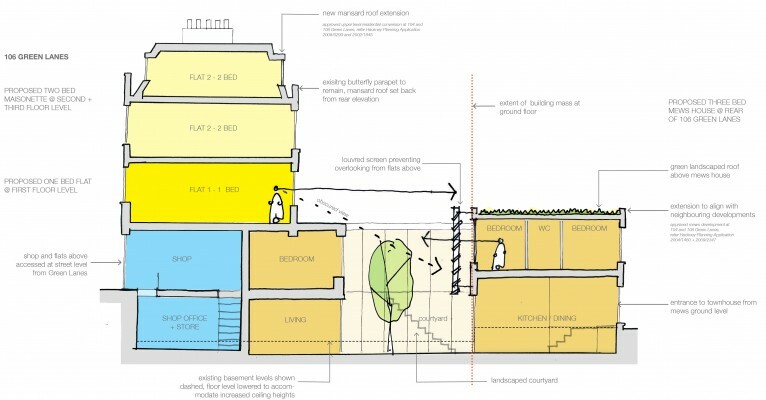 We have received an exciting brief from our Kentish Town clients to completely open up the ground floor of their house. 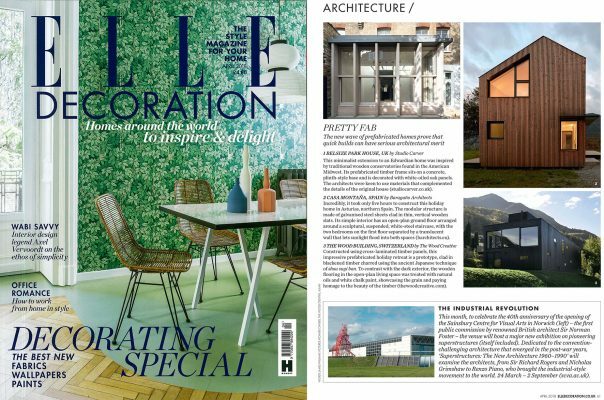 Our Belsize Park House project has featured in this months Elle Decoration about prefabrication in architecture. The article discusses how prefabricated homes can be quick to build and cost effective – but equally have serious architectural merit. 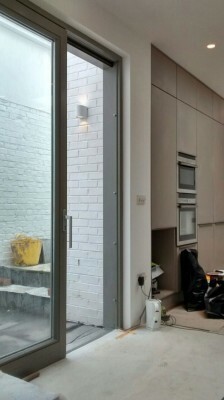 We have concealed a door to a mudroom into kitchen joinery at our project on Hampstead Way in North London. When closed the door sits flush with the rest of the kitchen units and is completely hidden in the wall. Our contractor is moving too fast in Tufnell Park! Our project in the Hampstead Garden Suburb is nearing completion. We have completed a major refurbishment and extension to this Grade II Listed property in North London. The clients are thrilled and moving back in next week! 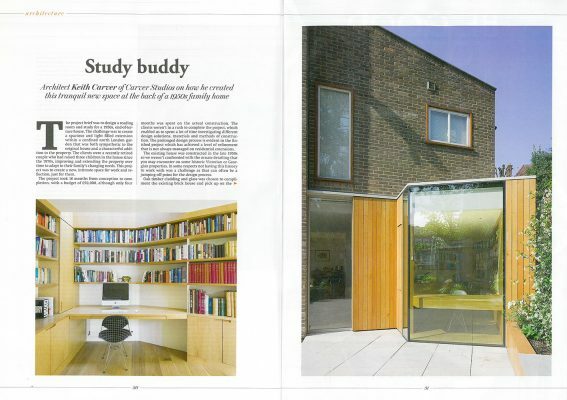 We are thrilled that our Finchley House project has featured on the inspiration page of this months Built-It Magazine. 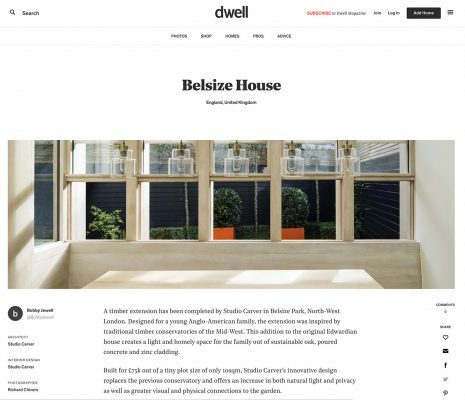 Belsize Park House has received more press – featuring on the Dwell magazine web page. We have designed a custom stone shelf in the kitchen of our Hampstead Way project in North London. 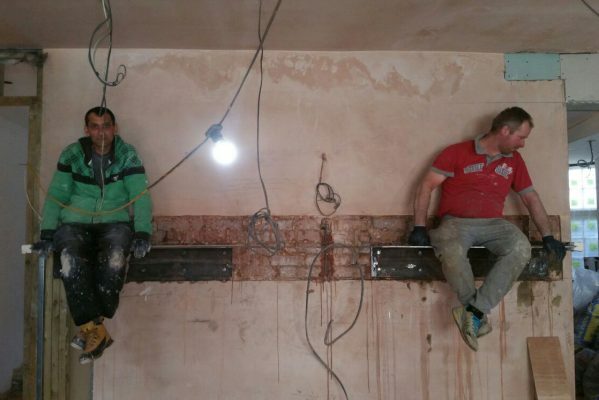 Steel brackets (supporting two of the builders!) have been fixed back to the brick wall and will later be clad in marble. A lot of effort and thought has gone into this detail – that will make the shelf look like it is floating off the wall when finished. 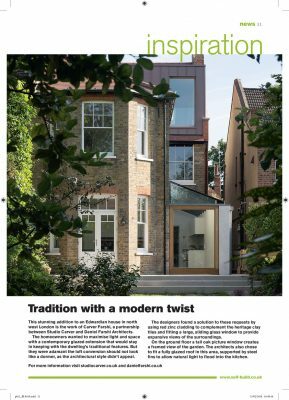 Belsize Park House was featured in this months Architects Choice. Director Keith Carver was interviewed discussing the project and how his American upbringing has informed the practices design work today. Table 6! 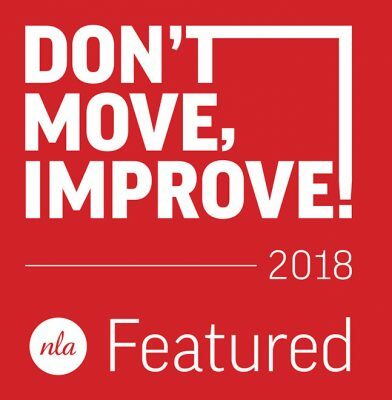 – we were honoured to participate in this years Don’t Move, Improve! Design Surgeries at the Building Centre. 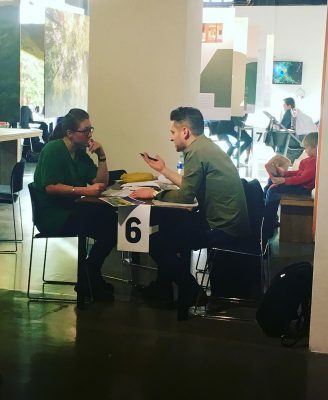 Alongside other featured practices Keith from Studio Carver provided 25-minute one-to-one consultations for homeowners looking to extend or refurbish their properties. Study Buddy! 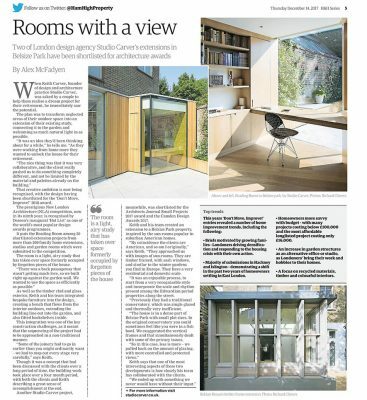 – A fun, little piece on our Reading Room in this weeks City AM – Living supplement! Grab a copy and check it out! 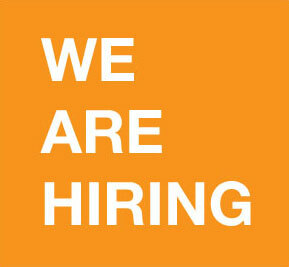 We are looking for an experienced and talented Part II or newly qualified Part III to join our growing team. Congratulations to all the winners last night at the Don’t Move, Improve! awards ceremony. Unfortunately we didn’t take home a prize but are thrilled to have been shortlisted and have two projects feature in the exhibition! We are even more thrilled to have such a great team in the office and are looking forward to a banging year! 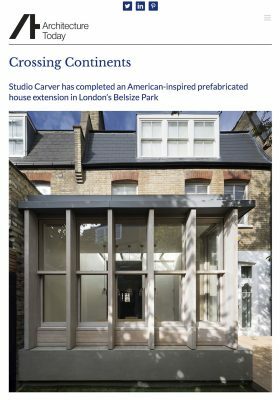 Crossing Continents – Belsize Park House has been featured on Architecture Today’s web page. Read the article here. Studio Carver is excited to be part of the Architect’s Republic community. From house extensions to inspirational small builds and ambitious large developments, Architects’ Republic allows you to search, compare and choose the right architect with confidence. 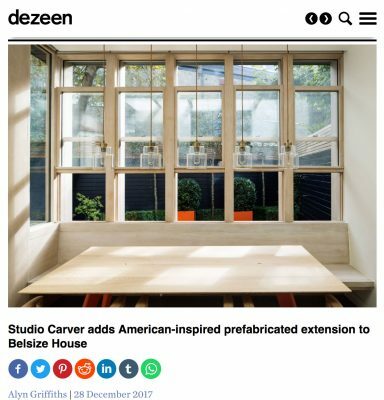 We are thrilled that Belsize House was featured on Dezeen today. A fantastic way to wrap up the year! Another client referral has lead to another new project! 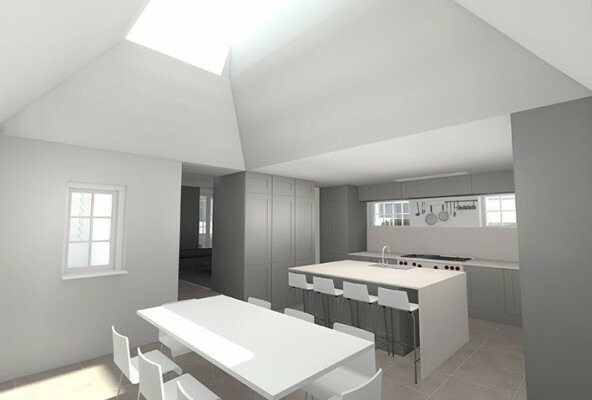 We are very excited to start concept designs for this complete house refurbishment in West Hampstead. 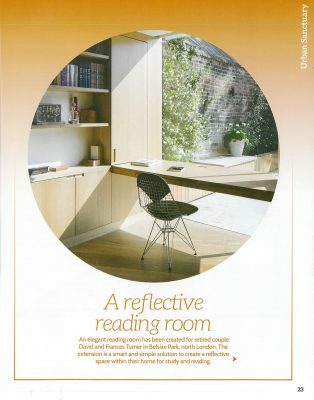 Belsize House and the Belsize Reading Room were featured in this weeks Ham & High newspaper. A great article by Alex McFadyen that highlights the importance of client collaboration during a project’s development. We are beyond proud to announce that Studio Carver will have two projects featuring in this years New London Architecture, Don’t Move! Improve Exhibition. 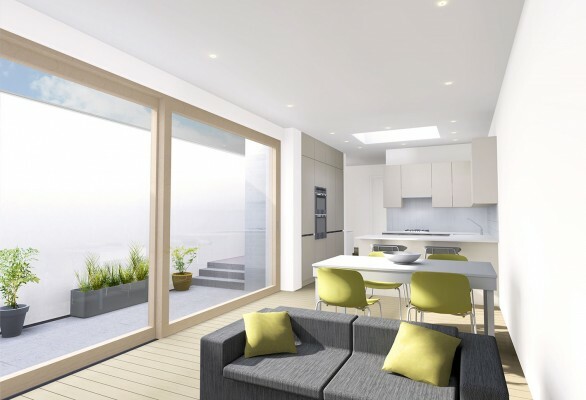 Belsize House will appear alongside the Belsize Reading which has been shortlisted for an award. Bring on January 25th when the winners will be announced! 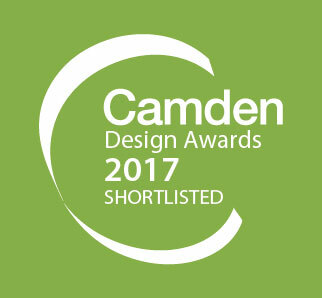 We are thrilled to announce that Belsize House has been shortlisted for the Camden Design Awards 2017 from over 100 submissions! Congratulations to all the winners, producing some fantastic work. 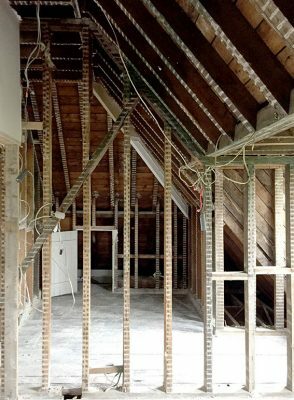 The first fix of services are in at our project in Hampstead. Work is progressing well and we hope to be moving on to internal finishes later this month. Early concept sketches for our new project in Brook Green. 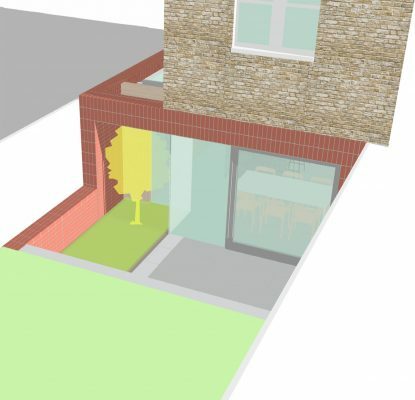 An infill side extension will be set back and extend across the front elevation, emphasising the historic brick wall and elevation above. 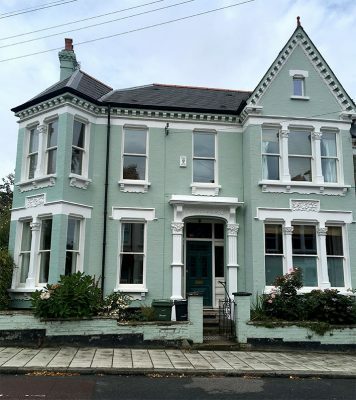 We have just been signed up to carry out a complete refurbishment and extension of this beautiful and unique double fronted Victorian end of terrace property in Brixton. 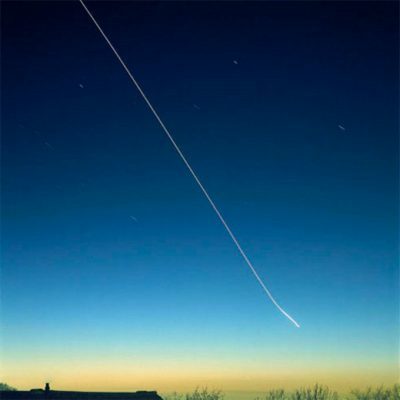 A new challenge for us which we look forward to embarking on later this year! A Barnet Double! 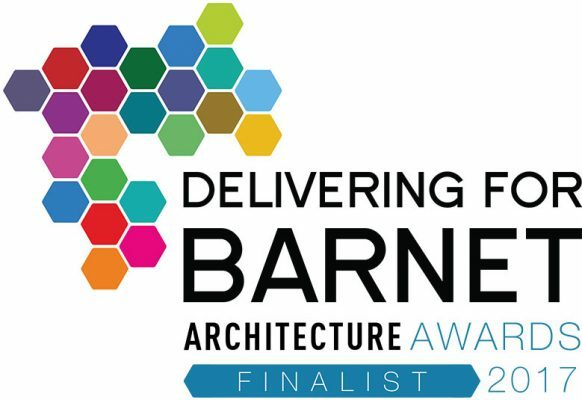 Hampstead Way House and Finchley House have both been shortlisted for this years Barnet Architecture Awards. The winners will be announced later this month. 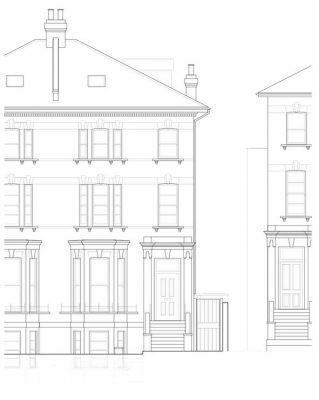 Following a recommendation from a pervious client we have been signed up to carry out a complete refurbishment and extension to a terraced property in Brook Green, West London. It is a great house which will make an amazing home. We can’t wait to get started! Thrilled to announce that our ambitious extension and refurbishment to a lower ground floor flat in Crouch End has been granted planning consent. We are now progressing with technical designs and targeting a winter 2018 construction date. 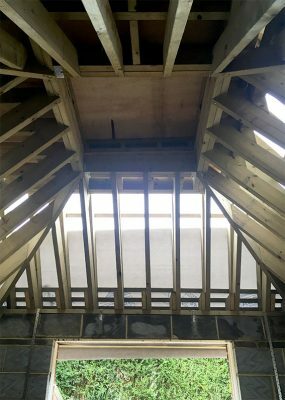 Impressive timber work for a vaulted ceiling and skylight at our Grade II Listed refurbishment and extension in the Hampstead Garden Suburb, North London. 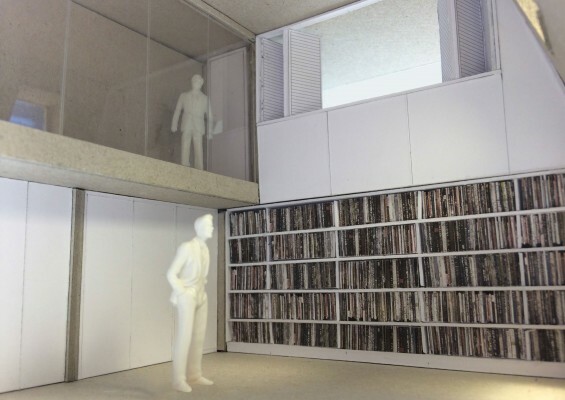 Basement designs are underway for our new project in Belsize Park, North London. After receiving positive feedback from Camden Council during the Pre-Application process, detailed architectural and structural designs are being developed for a full planning submission later this autumn. The original parquet flooring on our project in Golders Green, North London has been carefully removed. It will be cleaned, re-installed, sanded and sealed once the works are complete. 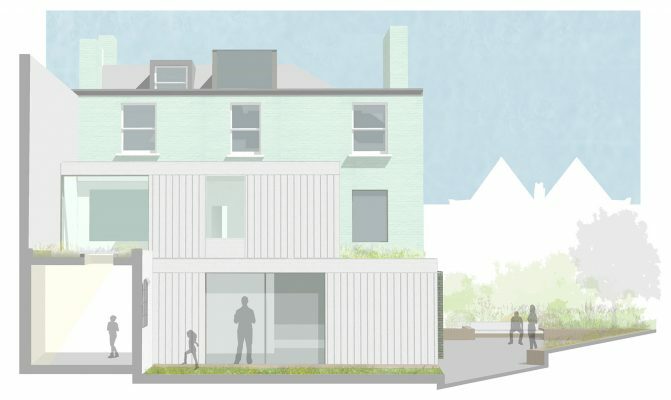 We have just submitted a planning application to Haringey for an exciting new project in Crouch End, North London. 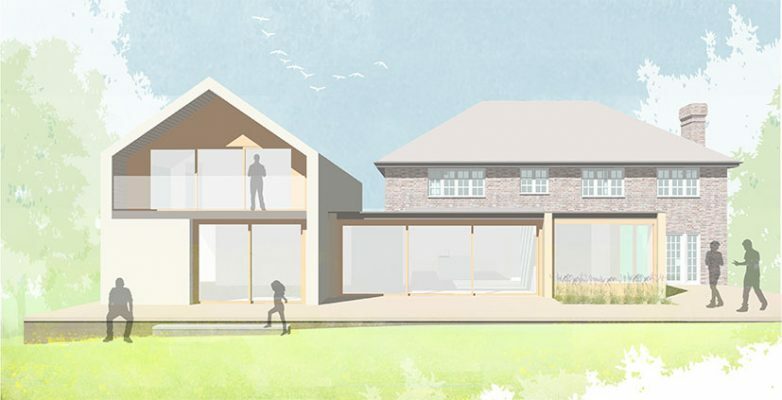 The designs include a new rear extension and a large double height space with clerestory windows above. We commissioned the photographer Richard Chivers to take pictures of our recently completed project in Finchley Central. Here is one of the many great photographs taken. We are thrilled to announced that our project in Primrose Hill, North West London, has been granted planning permission. 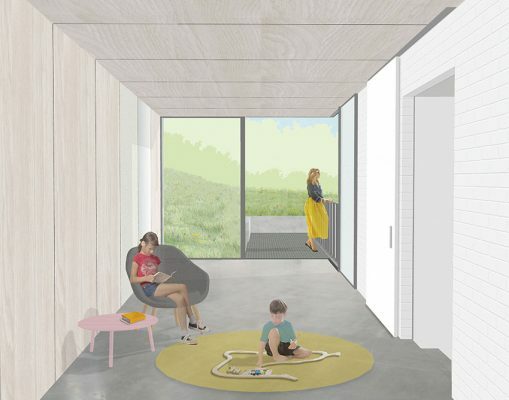 The proposals include a new rear extension and a large double height kitchen space, bringing light deep into the otherwise dark centre of the house. We are moving onto the detail and technical designs now, with a winter 2017 targeted start on site date. Following a lengthly (and successful!) Planning and Listed Building Application process with Barnet Council we are looking forward to getting started on site at our Hampstead Way project in North London. 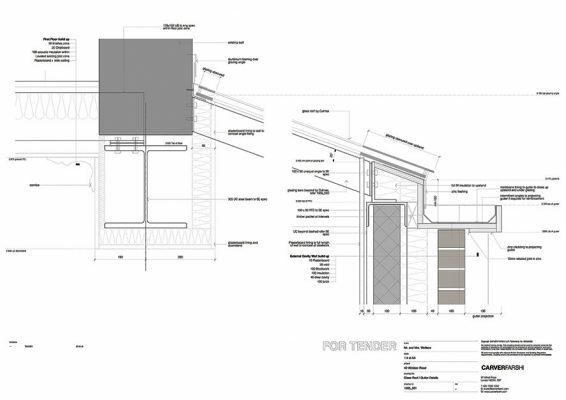 Tenders are back, the contractor has been appointed and construction commences later this month. 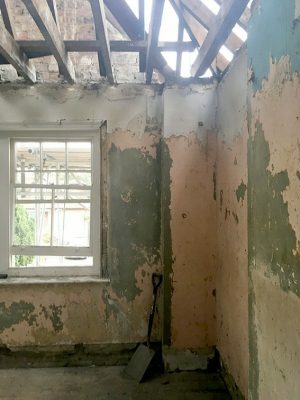 The strip out and demolition has started on the complete refurbishment and extension of our new Hampstead Garden Suburb project in North London. We are thrilled that our project at Buckstone Close in Southwark is starting on site next month. 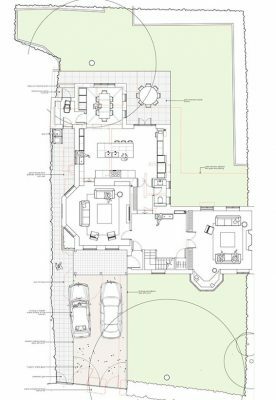 Over the last few months we have been working closely with the clients, Andy and Diana, who will be building this small but ambitious project themselves. 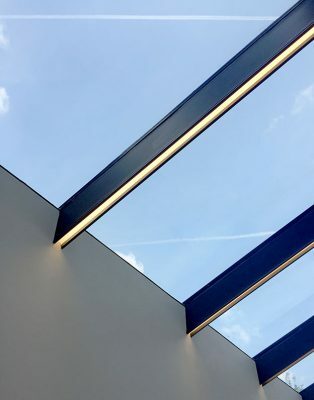 Strip lights have been carefully integrated into the structural fins of a large rooflight at our Finchley Central project. Practical completion was granted last week and our clients have spent their first weekend in their new home. 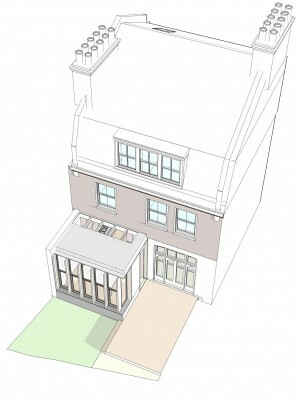 Our Hampstead Way House is out to tender with construction set to commence later this summer. 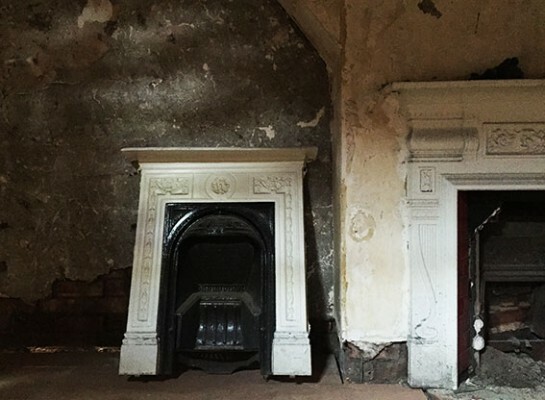 We can’t wait to get on site and restore this beautiful house back to its former glory. 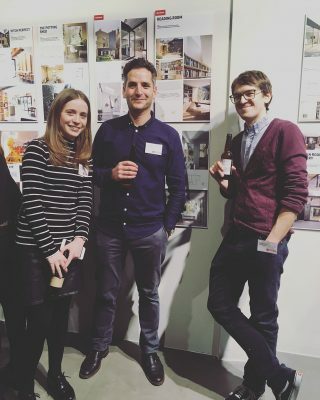 Today Keith presented the Belsize Park House to the judges of the Architects Journal Small Projects Award. We are thrilled to be a finalist alongside so many other great practices and projects. 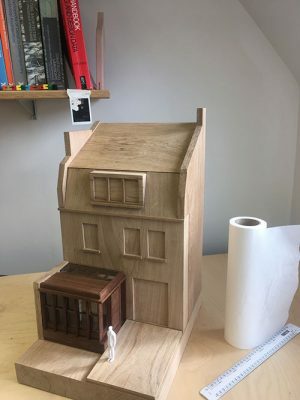 We’re building a model of our shortlisted Belsize Park House for the upcoming AJ Small Projects exhibition. All shortlisted projects are being exhibited at Feilden Clegg Bradley’s London office until April 26. Make sure you drop by! Our project in Finchley Central nears completion with the last bit of glasing installed. 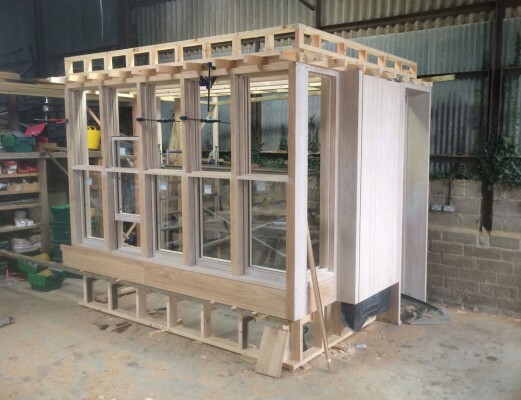 An oak picture window frames the view of the garden and is contrasted by frameless glasing above open to the sky. Its about time we’ve joined Instagram! Find out what we’re up to and what inspires us. 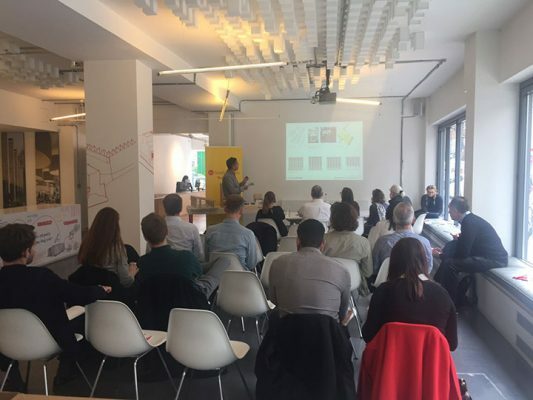 Our Makers Market scheme was presented during a pubic consultation for the Whitehill & Bordon regeneration project in Hampshire, England. The building, occupying a prominent site in the new town centre, was well received by residents, stakeholders and local Councillors. 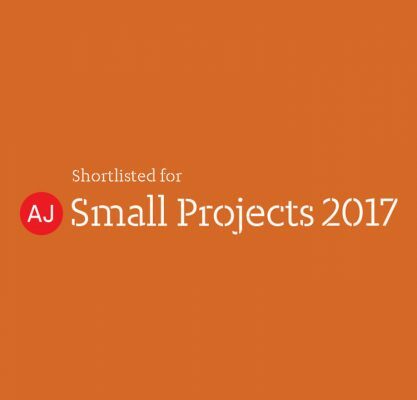 We are thrilled to announce that our Belsize Park House project has been shortlisted for the Architects Journal 2017 Small Projects Award. An exhibition of the 20 shortlisted projects will be open from the 29th of March at Feilden Clegg Bradley Studios in London, 20 Tottenham Street, London W1T and will run until the 26th of April. Make sure you drop by! Click here to see our award entry and the other 19 finalists. We are excited to embark on another scheme within the Whitehill & Bordon regeneration project in Hampshire, England. The Makers Market is comprised of a series of shared, public and private workspaces, cafe and restaurant and flexible open market place. The building is permeable, encouraging people to circulate under, over and through it, facilitating activity and discovery of its various uses. We are very excited to welcome Ben Wu-Holmes to Studio Carver. 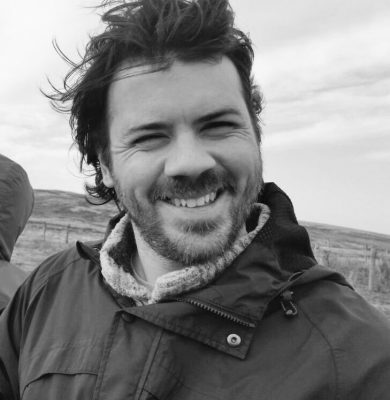 Ben joins us having recently graduated from the University of Cambridge with an MPhil in Architecture and Urban Design. He is currently completing his Part 3 Professional Practice at UCL. Designs are underway for a refurbishment and basement extension at our project on Village Close in Belsize Park Village, North London. 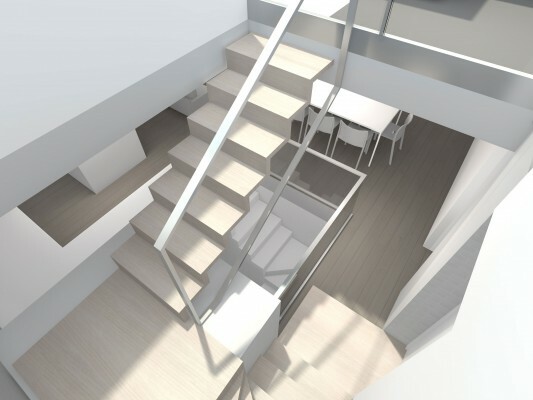 Our proposals include a secret mezzanine level for the client’s two young children off the first floor landing. 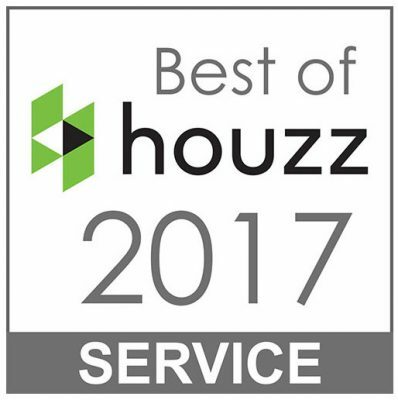 We have been awarded Best of Houzz 2017. 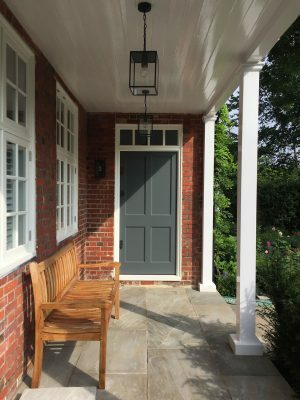 Check out our Houzz profile to read reviews from clients of recently completed works and see project photographs not included on our web page. We are excited to announce that we have won a new job to design a roller rink and community facility within the Whitehill & Bordon development in Hampshire. 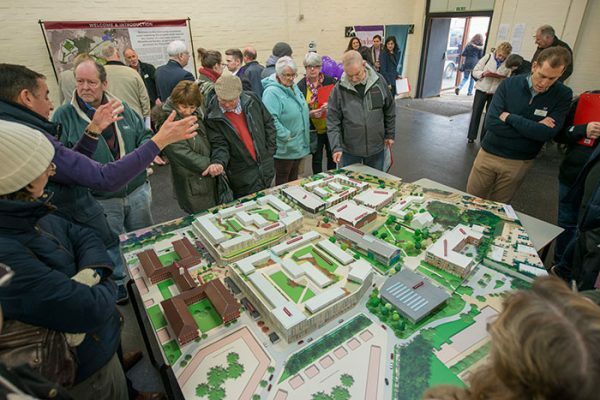 Concept designs for the project were presented during a public consultation earlier this month and positively received by residents, local Counsellors and stake holders. 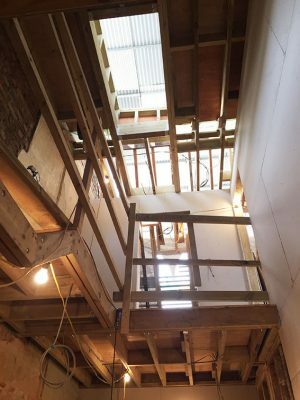 Framing for a large skylight over the central stair at our Finchley Central House has been installed. 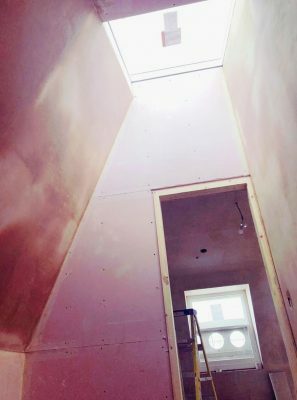 The new skylight will allow large amounts of natural light to penetrate down through the stairwell and centre of the house. Today we presented concept designs to our clients in Hook Heath, Woking for the refurbishment and extension of their home. There were lots of options to discuss and we look forward to developing the proposals in the new year. 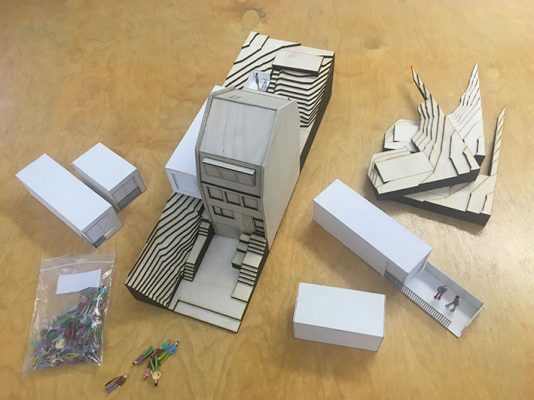 Our Buckstone Close clients loved our concept model and we loved making it too! This was the first laser cut model we have made as an office with many more to come! Here is one of the many exciting options presented to our King Henry’s Road client earlier this week. The proposals include a new rear extension with internal double height space encouraging natural light to penetrate deep into the plan. 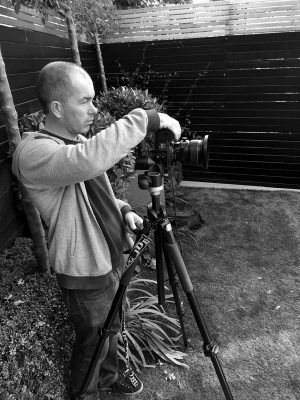 The photographer Richard Chivers hard at work photographing our Belsize Park House in North London. We led a team of structural engineers, manufacturers and subcontractors to achieve this very elegant and refined solution to an otherwise typical London balcony. 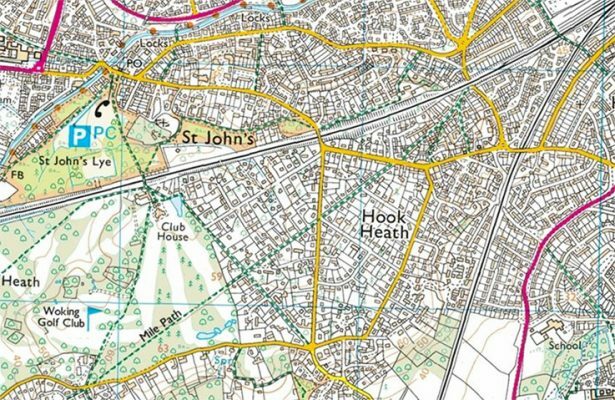 We are thrilled to announce a new project in Hook Heath, Woking in Surrey. The clients are a young couple from London who recently moved outside the city with their two daughters. Concept designs are to commence later this month with our first presentation scheduled for the end of November. 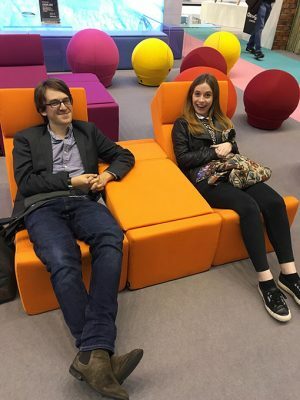 Just a quick break to rest our feet during this years 100% Design trade show at Olympia London. Following two exciting years of design, detail and construction we are happy to announce the completion of our Belsize Reading Room. 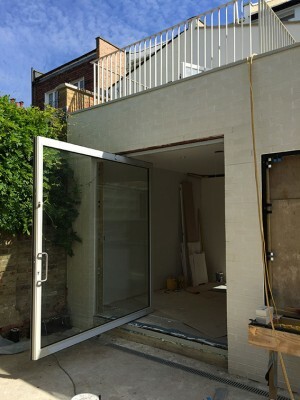 It has been a fantastic experience working closely with the client, structural engineer, glazing subcontractor and joiner to create something so special within a small North London garden. Another recommendation from a recent client! We are proud of all our referrals and excited to be working on a new project on King Henry’s Road in Primrose Hill, North London. 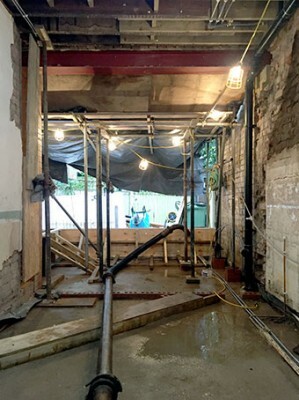 Our Finchley Central project has started on site with the demolition and strip out well underway. 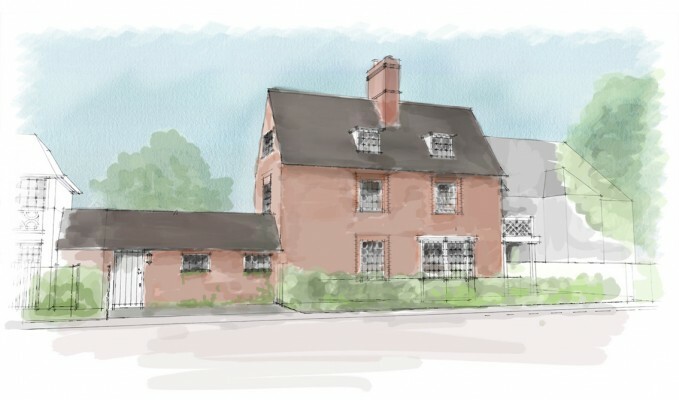 Following positive feedback from the Hampstead Garden Suburb’s architectural advisors, we submitted a full planning and listed building application to Barnet Council for the refurbishment and extension of this Grade II Listed Arts and Crafts House. 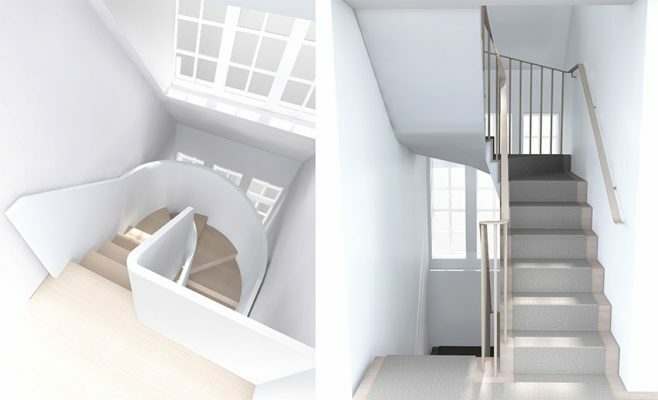 A feature staircase is proposed for our project in Hampstead, North London. 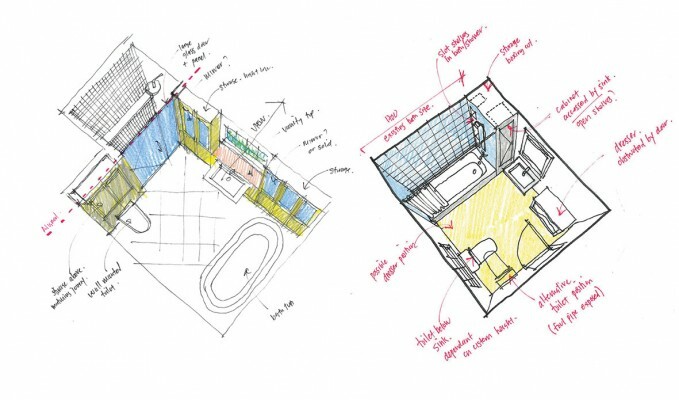 Various designs were developed and presented to the client linking all floors of the property and encouraging natural light to filter down through the house. We commissioned the photographer Richard Chivers to photograph our recently completed Hampstead Way House. Here is one of the many great pictures taken. 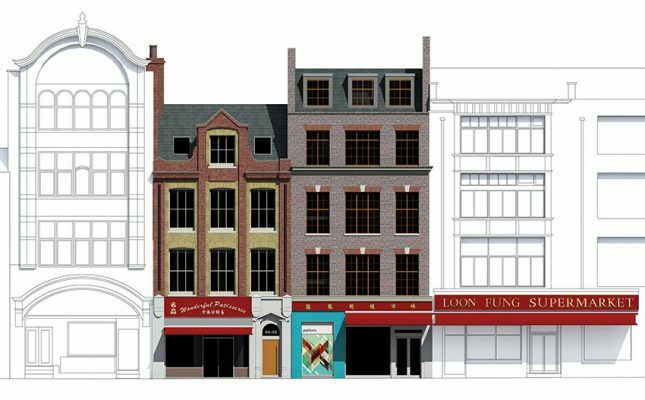 We successfully completed a feasibility study for two 19th Century properties in Chinatown, Central London and will be developing the proposals toward a full planning application to Westminster Council later this year. We are delighted to be working for the talented photographer, Andy Stewart on his family home in Southwark, South East London. 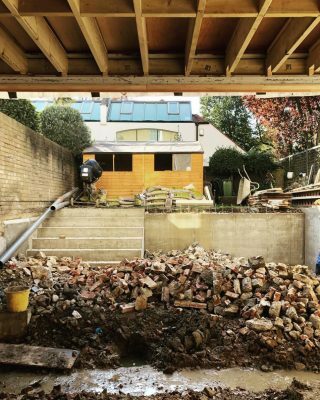 Andy has photographed some of our projects over the last 10 years and we are excited to together embark on an ambitious self-build to an embankment along the side of his property. We just won a new project down the street from our recently completed Hampstead Way House. 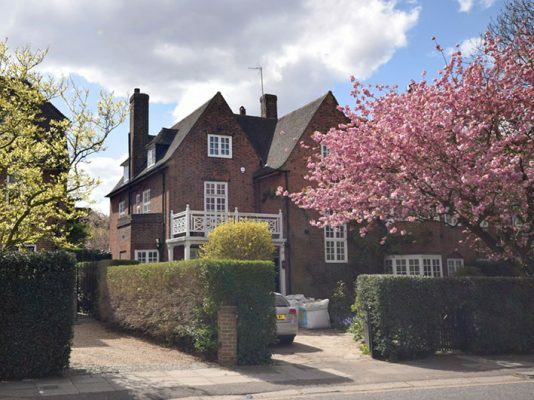 Set within the Hampstead Garden Suburb, North London we have been engaged to carry out a complete refurbishment and extension of this Grade II Listed Arts & Crafts property. 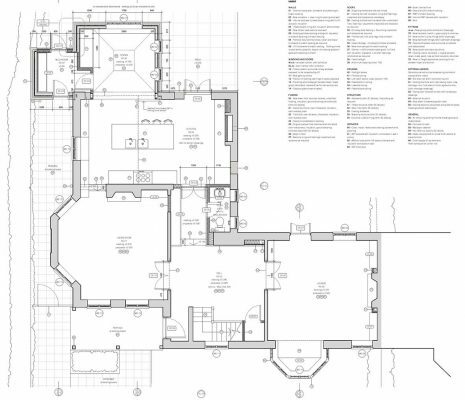 It’s a beautiful house and we are excited to have the opportunity to work on it. 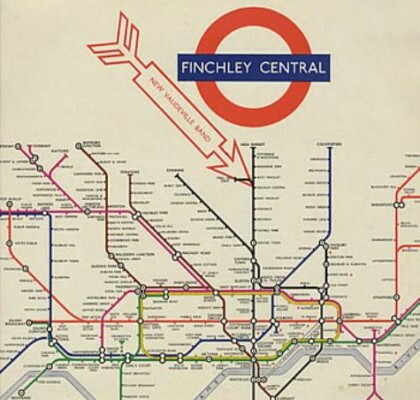 Tenders are due back for our Finchley Central House the middle of June, with construction works scheduled to commence in early August. Thanks to a recommendation from our Hampstead Way House clients, we have won a new project in the Hampstead Garden Suburb, North London. Referrals are crucial to our practice’s growth and we are grateful to Nic and David for recommending us. 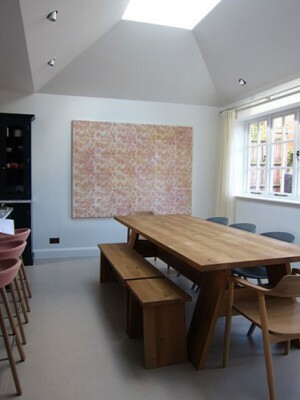 Our project in the Hampstead Garden Suburb, North London is now complete. 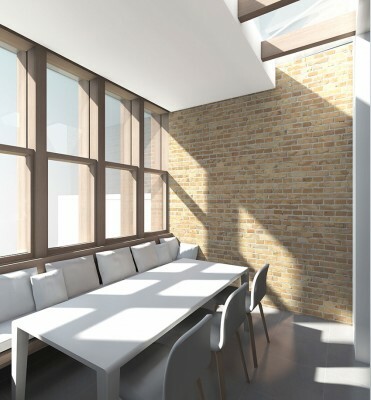 Just in time for spring, the large retractable skylight over the dining area will bring expanses of natural light and fresh air in the space. 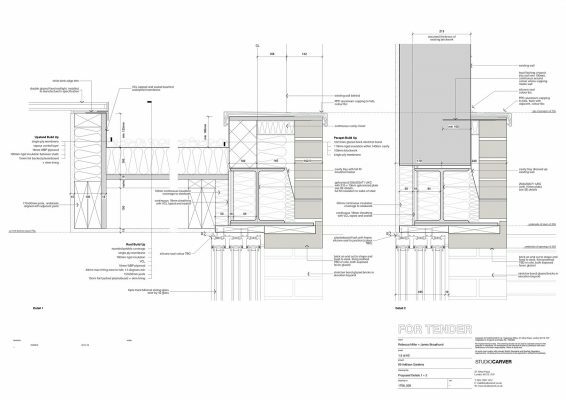 Detailed design for our new Finchley Central House is underway. 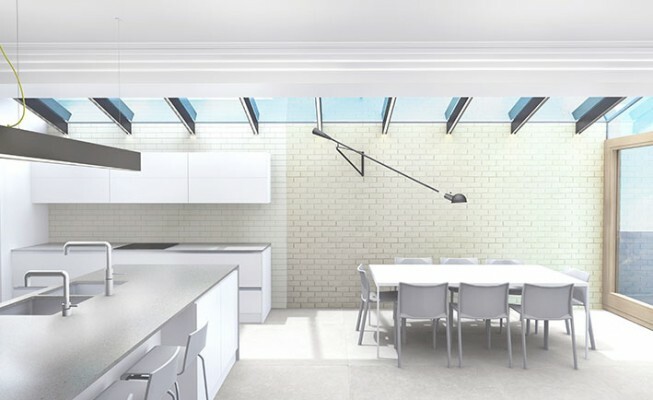 The new rear extension includes a clay and glazed brick internal wall with a series of fins that both support the glazing above and incorporate the lighting strategy for the spaces below. 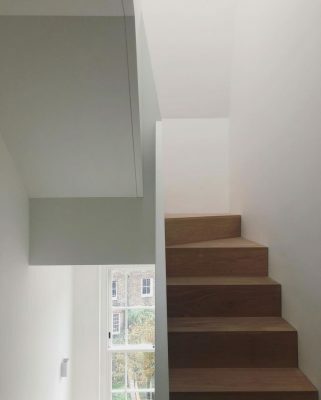 The staircase walls extend up towards a large skylight at our Belsize Park House in North London. Large amounts of natural light filters down this light well from above. When opened the skylight pulls fresh air from the floors below encouraging natural ventilation throughout the property. We are excited to have our clients at The Mount move back into their house in North London later this week. 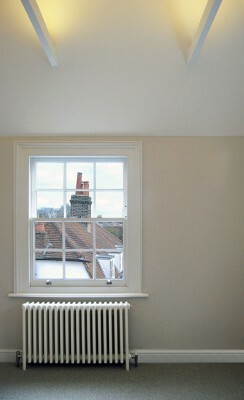 The works included the complete refurbishment of a three storey period cottage in the Hampstead Conservation Area. 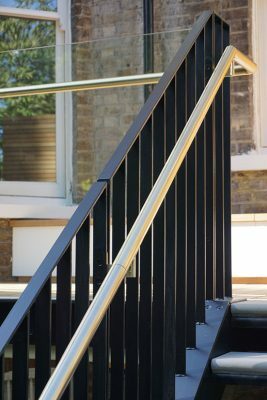 A striking golden brass soffit and handrail has been incorporated into our new Swiss Cottage balcony project in North West London. The project is currently out to tender and we hope to start construction later this spring. 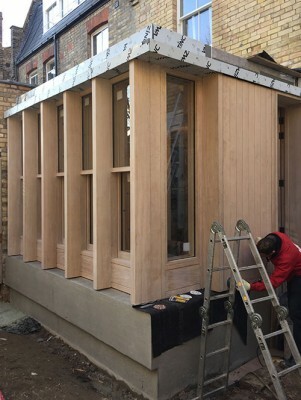 Earlier this week the oak rear extension of our Belsize Park House was completed. With the contractor hard at work we are on target for our clients to move back into their home next month. The Belsize Reading Room’s joinery has now been installed. The bespoke bookcases and cabinetry are the last elements of this intricate project to be installed. The joinery stretches up into a large rooflight and out to a picture window, extending the occupants views into the landscape. We are excited to announce that the Galleria project in Central London has been granted planning permission by Westminster Council. 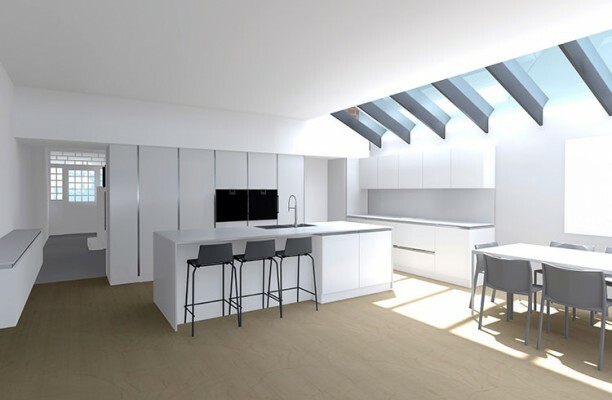 Working in collaboration with Robert Hirschfield Architects, the project combines two buildings in the St. James Conservation Area into a mixed used scheme, including gallery and offices spaces with residential accommodation on the upper levels. 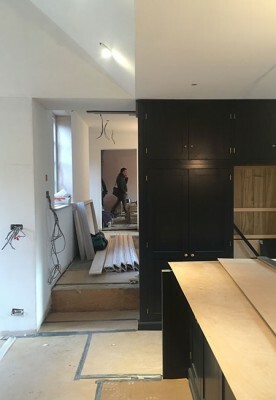 With the kitchen now installed our refurbishment and extension of a Grade II Listed Arts and Crafts house in the Hampstead Garden Suburb is nearing completion. We’ve submitted a Planning Application to Barnet Council for the refurbishment and extension of a semi-detached Victorian House in North London. 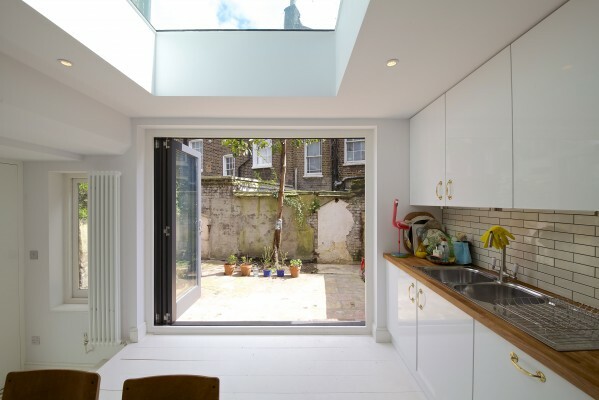 The scheme includes a full width side extension with a continuous pitched glazed roof. The large frameless glass picture window on our Reading Room project in Belsize Park, North London was successfully installed today. With the glass now in place we are on track to finish the project in early 2016. 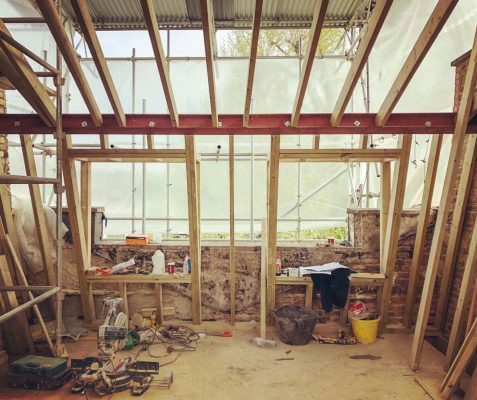 We have had the pleasure of working with the carpenters at Emanuel Hendry, a timber frame construction company based in Exeter, on our Belsize Park House project in North London. The entire extension was fabricated and assembled in their workshop before being taken down and delivered to site earlier this month. 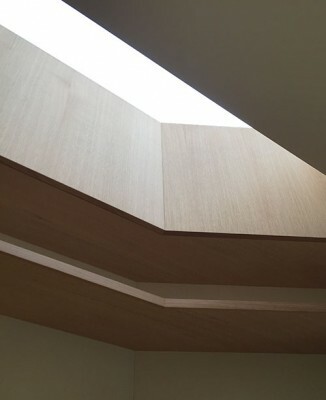 Pitched plasterboard soffits extend up to a large retractable skylight in the breakfast room at Hampstead Way. The large skylight brings views of sky into this Grade II listed Arts & Crafts property and floods the space with natural light. We are thrilled to see all the new steel work and structure successfully installed at The Mount in Hampstead, North London. The contractor is doing a fantastic job working within such a restricted and confined site. 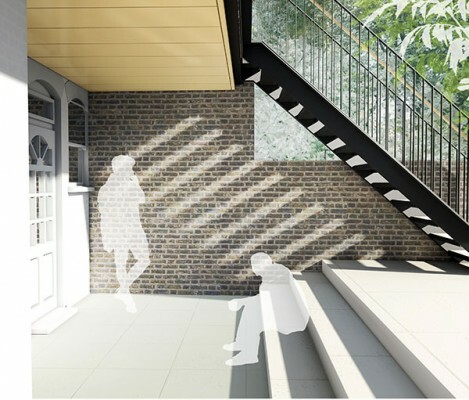 An early proposal for our Finchley Central House repositions the kitchen to the front of the property, establishing a series of interconnected spaces from the front of the house through to the back and garden. 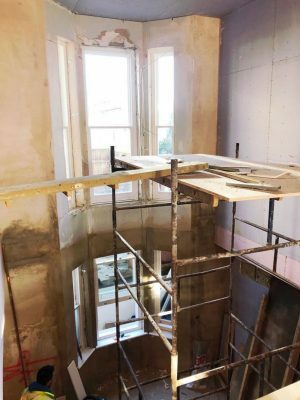 We have been working closely with the concrete consultant David Bennett Associates to achieve a high quality exposed concrete finish for our project in Belsize Park. The concrete was poured today and we are anxious to remove the formwork early next week! 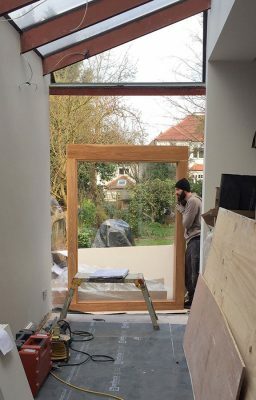 Following careful coordination with the main contractor, the structure for the frameless picture window has been installed on our Reading Room project in Belsize Park, North London. Together with Daniel Farshi Architects we have won a new commission for the complete refurbishment and extension of a semi-detached Victorian house in Finchley Central, North London. 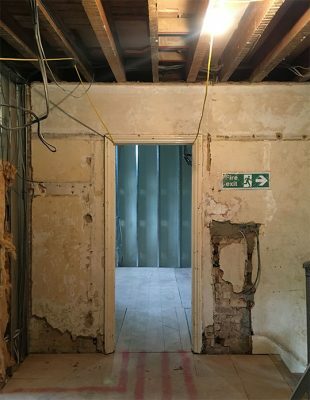 We are excited to be underway on the refurbishment and extension of an Edwardian terraced property in Belsize Park North London. 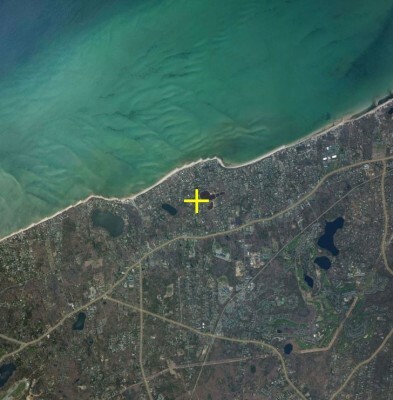 We are excited to announce STUDIOCARVER has won a new commission to design a holiday home along Cape Cod Bay in Brewster Massachusetts USA. Our project for the refurbishment and extension of a Grade II Listed Arts and Crafts House in the Hampstead Garden Suburb has started on site. 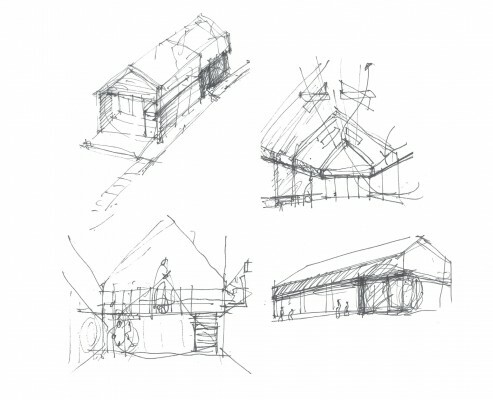 Early sketch designs at The Mount, Hampstead, North London. We commissioned the photographer Richards Chivers to take pictures of our recently completed 104 Mews House. Here is one of the many great photographs taken. Following a referral from a recent client, we have won a new commission on The Mount in the Hampstead Conservation Area, North London. Our project for the refurbishment and extension of a Grade II Listed Arts and Crafts House in the Hampstead Garden Suburb has just gone out to tender. 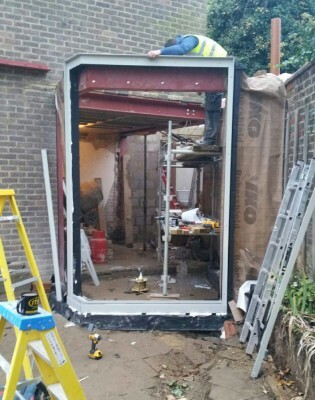 The large pivot door has gone in successfully at our Wimbledon House. 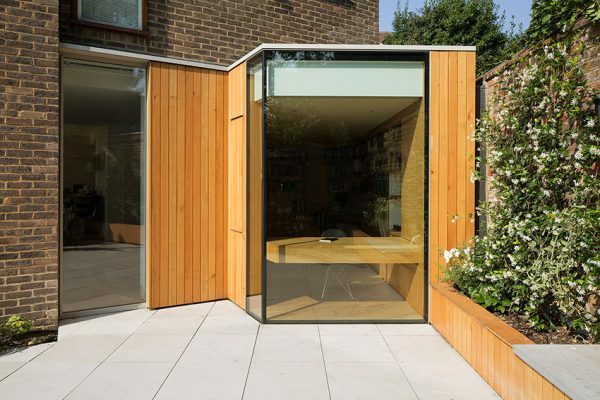 It is an amazing piece of glazing that opens the kitchen and dining area out into the garden. 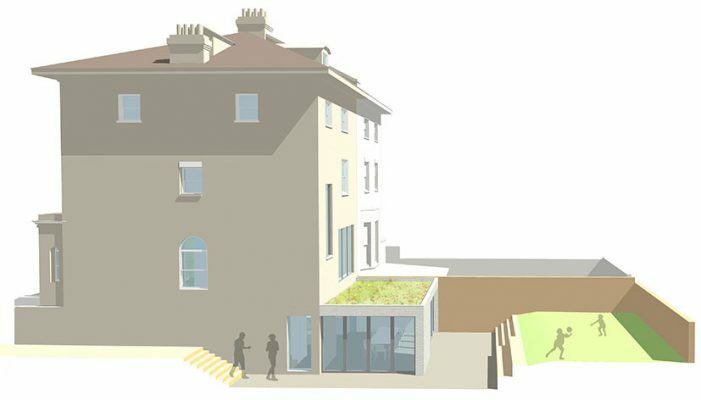 The Belsize Park House has gone to tender with a targeted construction start date of July 2015. We are very excited to welcome Amy Dochery to STUDIOCARVER. 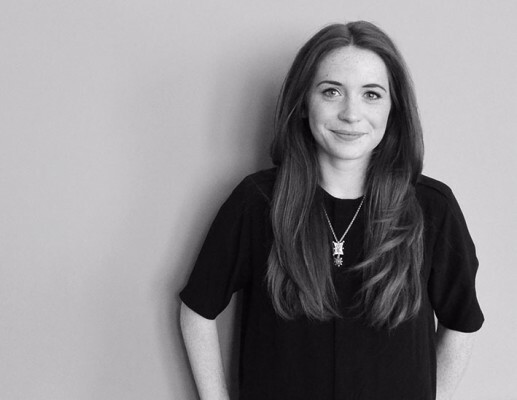 Amy joins us from Glasgow having recently graduated from Mackintosh School of Architecture with a Diploma in Architecture. After careful coordination the wine cellar at our Wimbledon House project has been successfully installed. Interested candidates should send CVs and examples of your work to mail@localhost. 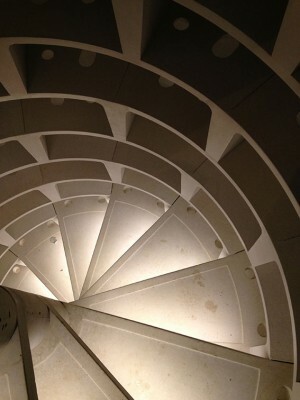 STUDIOCARVER’s first ever commission, 104 Mews House, nears completion. Four years later we are as excited about the project as we were on day one. The Wimbledon House is underway. The steel work is up and concrete is being poured later this week. 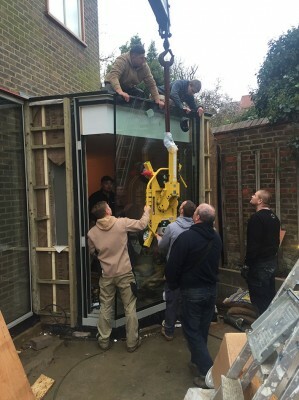 We are excited to be working with London based contractor Produk who recently appeared on Channel 4’s Grand Designs. 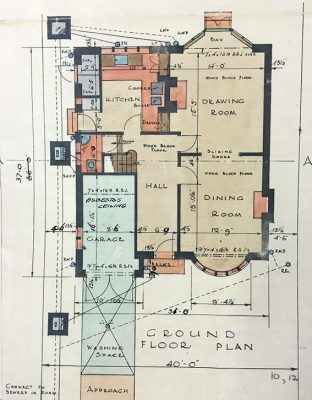 A planning application has been submitted to Barnet Council in North London for the complete refurbishment and extension of a Grade II Listed Arts and Crafts house in Hampstead Garden Suburb. 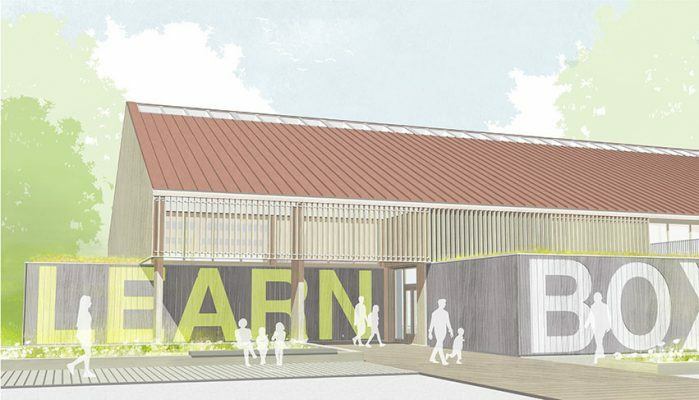 Working together with Daniel Farshi Architects, the proposal includes a new kitchen and dining area with large vaulted ceilings, retractable skylight and green sedum roof. 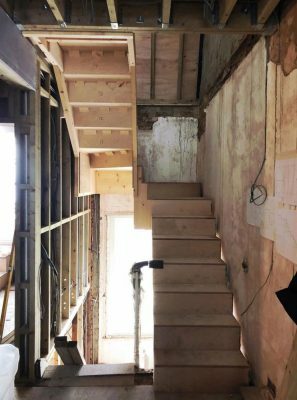 Our project for the refurbishment and extension of an Edwardian terrace property in Belsize Park is progressing to construction. 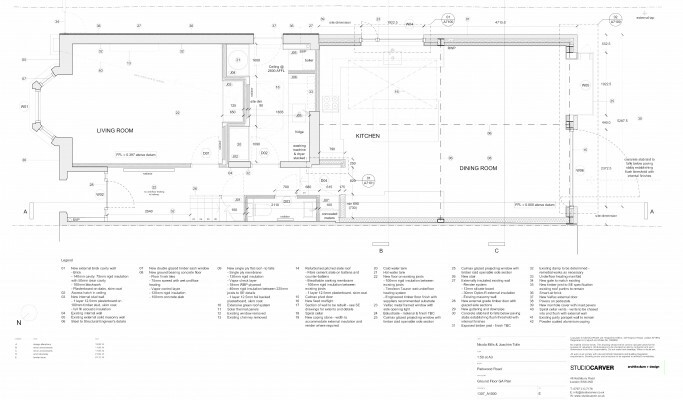 A new timber framed extension is proposed at the rear of the property including a bench window seat and dining area. 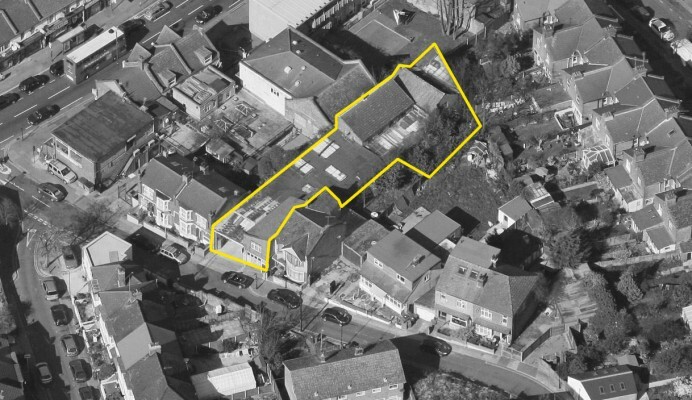 Proposals converting an old timber yard into three flats and three mews houses will shortly be submitted for planning consent in East London. 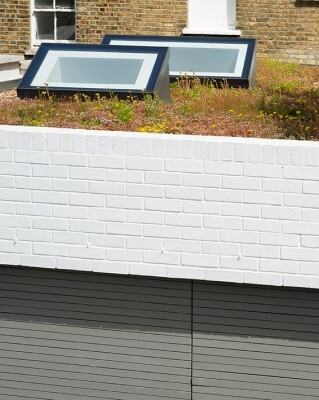 All properties will comply with Life Homes Standards and incorporate private gardens and roof terraces. In collaboration with Robert Hirschrield Architects, the galleria development has been submitted to Westminster City Council for planning permission. We are excited to be embarking on a new commission in Hampstead Garden Suburb in collaboration with Daniel Farshi Architects. The project involves the complete refurbishment and extension of a Grade II listed 1915 home in North West London. 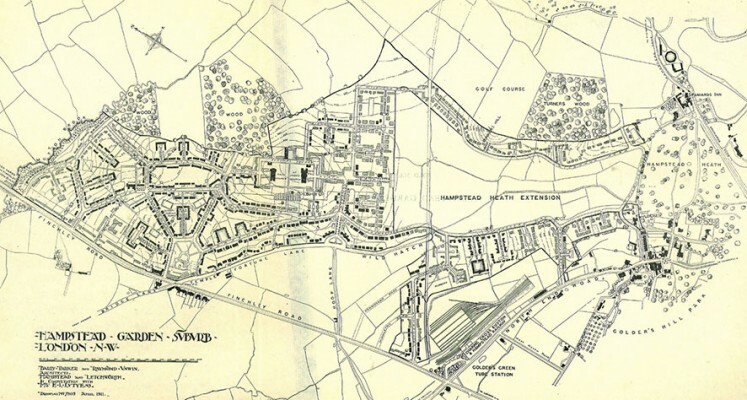 Hampstead Garden Suburb is a well preserved example of Arts and Crafts domestic architecture and town planning designed by Richard Barry Parker and Sir Raymond Unwin. 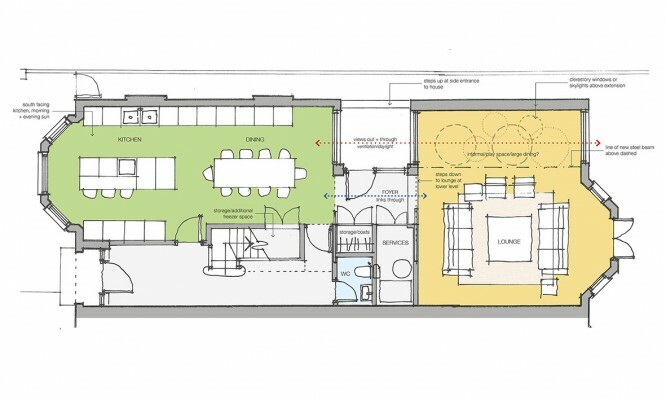 The Belsize Reading room has been granted planning permission from Camden Council. We are now working on the detailed designs with a spring 2015 targeted construction date. 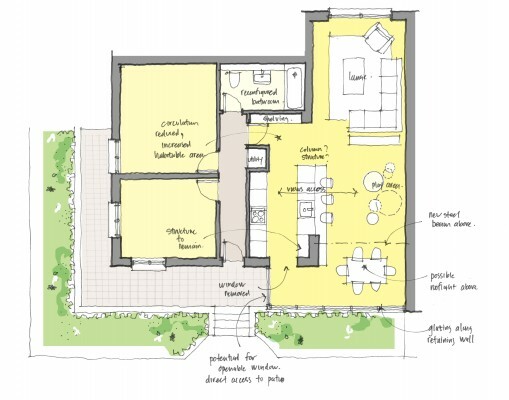 The Wimbeldon House has gone out to tender with contractor’s site visits scheduled for later this month and a targeted start on site of January 2015. 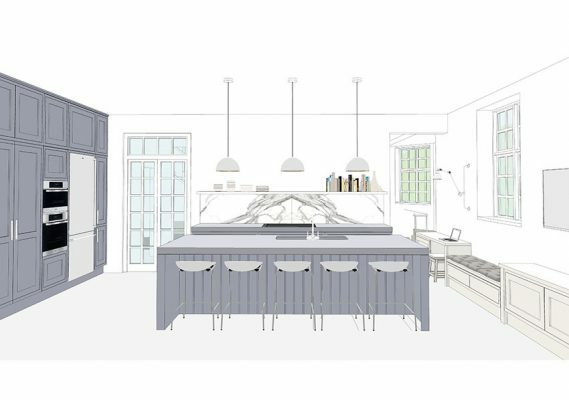 We recently presented concept designs to our Belsize Park client in North London. 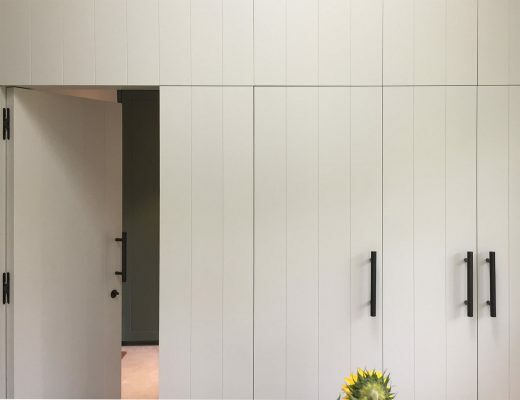 Their favored design is a contemporary re-interpretation of historic orangeries using vertical timber fins to provide privacy within a dense Edwardian conservation area. 104 Mews House has started on site. 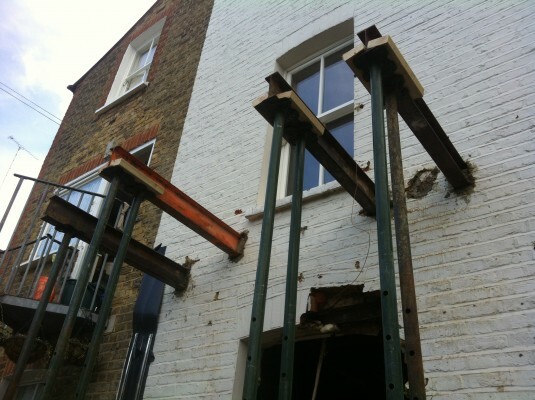 Demolition is underway for the construction of a new self contained two bedroom flat in Hornsey, North London. We are wrapping up a new rear extension and refurbishment in the Chalcott Estate, Swiss Cottage. The clients are moving back in later this week and we are pleased to report that the project was finished to programme and on budget. 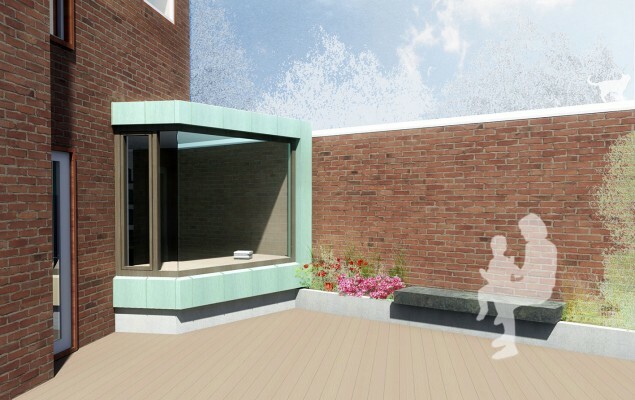 The Belsize Reading room is progressing towards an August planning submission. 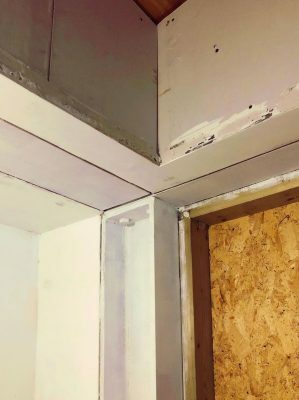 Various cladding and glazing options were investigated to test the extension against the existing building form and materials. We have just finished photographing our Holland Park Apartment on Addison Road. The photographer Balazs Bicsak has captured some great moments throughout the project. 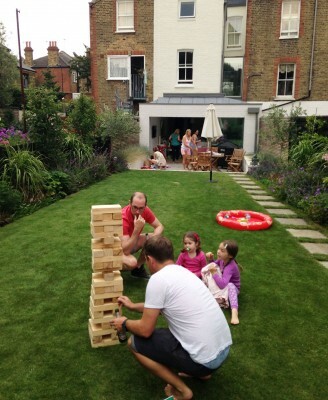 The Fulham House clients invited us over for a summer bbq and a few rounds of Giant Jenga. While we lost every game of Jenga it was great to see the house and garden looking fantastic 18 months later. 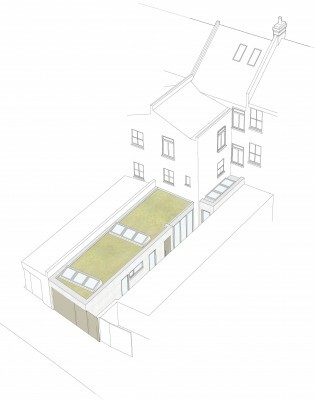 We have won a new commission for a small development of five mews houses in East London. We are all excited to kick start this project and are targeting an autumn planning submission. 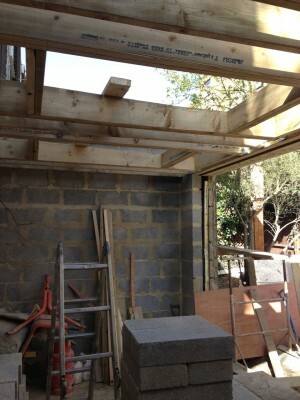 Construction is well underway for a rear extension and refurbishment in the Chalcot Estate, Swiss Cottage. After the success of a similar extension next door we were hired to remodel and extend the ground floor of this 1970’s terrace in North London. Three more neighbours and we will have covered the block! 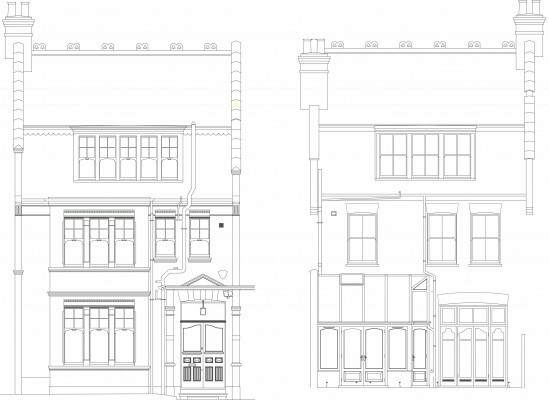 We have won a new commission for the complete refurbishment and extension of an Edwardian terraced house in the Belsize Conservation Area, Camden. A new stair accessing a private roof terrace in South Kensington. The proposed structure cascades down delicately connecting the existing flat with the outdoors. 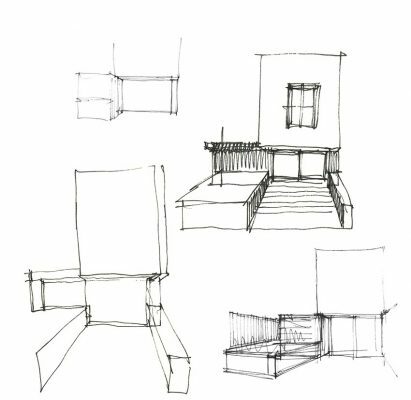 Early sketch designs for a new project in Chalk Farm, London. 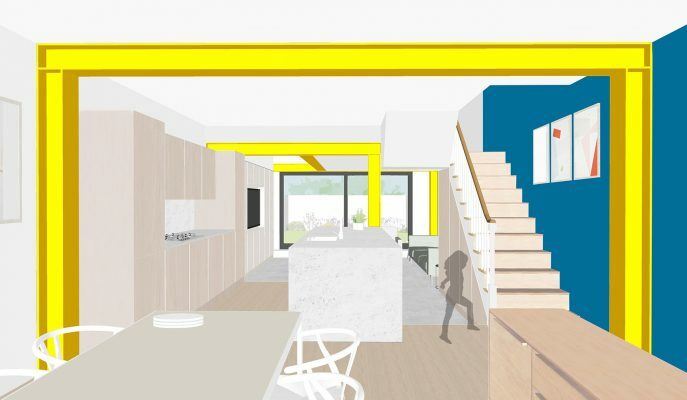 The proposal looks to extend the existing kitchen and dining out into the garden, connecting the two spaces and bringing large amounts of natural light into this lower ground floor flat. Three coloured elbat table prototypes are at last finished. 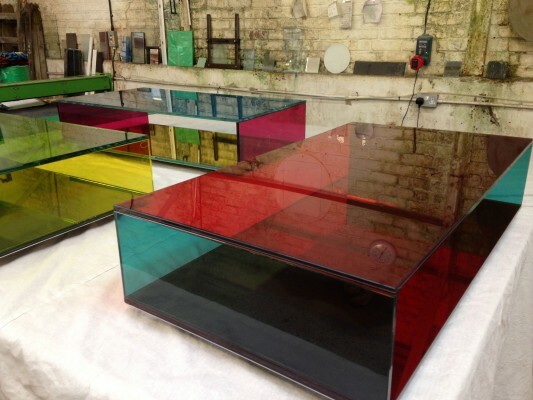 Thanks to Jamie at Crawford Glass in Walthamstow for all the help over the last year getting these tables made. 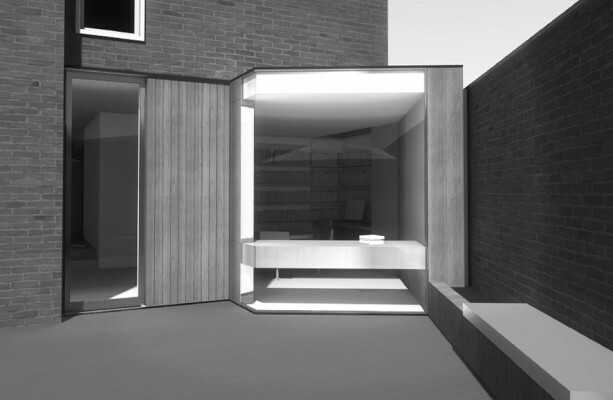 The Wimbledon House extension has just received Planning Permission. This has been our first project in Merton and it was a pleasure working with their planning department. Our Pre-Application to Hackney Council outlining the proposed development of 106 Green Lanes, Stoke Newington has been positively received. 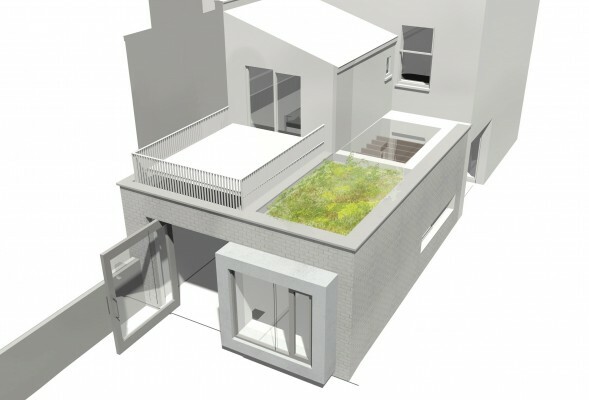 The project includes a new two storey courtyard house at the rear of Green Lanes with two flats and mansard extension above an existing commercial use. 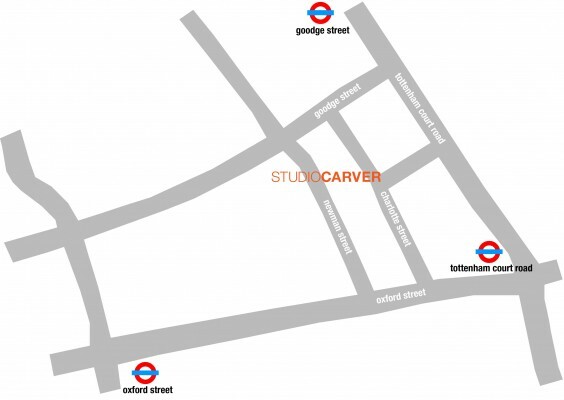 Following the success of recent collaborations, STUDIOCARVER is embarking on another exciting project with Robert Hirschfield Architects in central London. 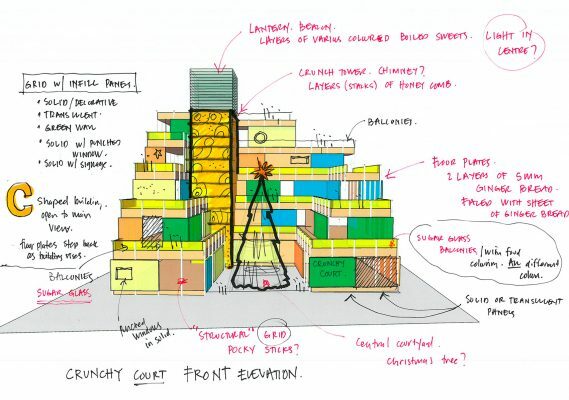 Our first commission from Autumn 2011 is progressing towards construction in spring 2014. 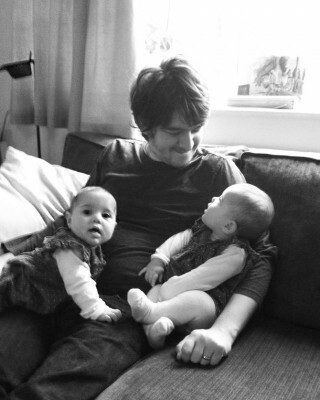 STUDIOCARVER is growing with the addition of newly registered architect Dan Farshi, a new dad to identical twins Iona and Beth. Good luck Dan! We are excited to have you join our team. We presented our designs for the Moores Bridge Scout Hut to their Board of Directors in Danbury. The proposals were well received and we look forward to developing the designs together with the Board and Scouts in 2014. We have won a new commission for the complete refurbishment of a top floor, 2 bedroom grade II listed apartment in Kensington and Chelsea. 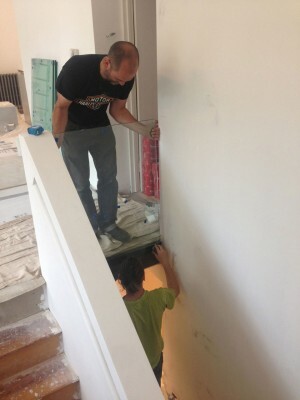 The first floor glass balustrade is being installed at our Addison Road project in Holland Park. 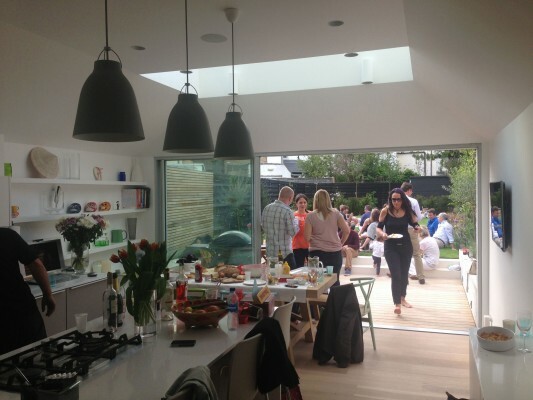 The owner’s of our recently completely Fulham House have thrown a house warming party. Lots of good food and good company with the project well received by all. 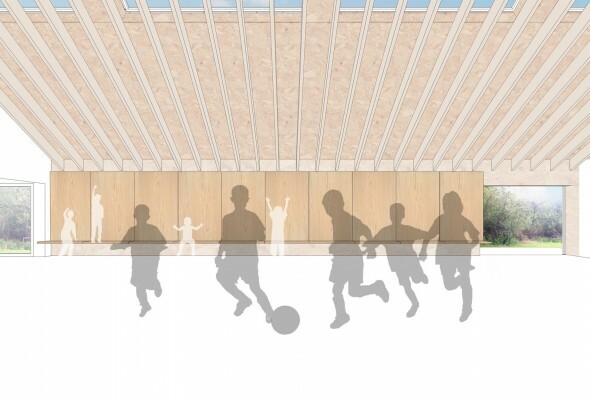 STUDIOCARVER and Sam Tisdall have been commissioned to design the new Moore’s Bridge Scout Hut in Danbury, Essex. 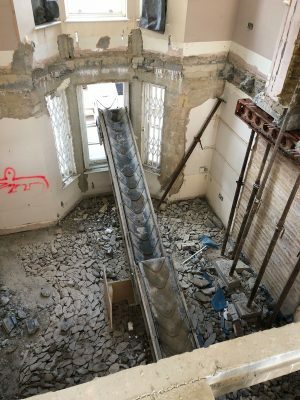 After the great success of our Camden House project the owner’s sister and family have hired STUDIOCARVER for the refurbishment and extension of their terraced property in the Chalcot Estate, Swiss Cottage. A bit further south from the Kentish Town House we have just finished a complete house refurbishment in Camden. It has been a lot of fun working with owners Ben and Sarah who brought their own unique style to the project. 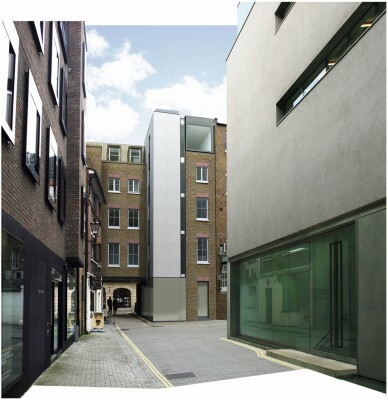 STUDIOCARVER has been invited to present concept design for the fit out of Across the Pond’s new head office in SOHO. Across the Pond is an award winning creative agency specialising in online video content and channels for innovative brands. 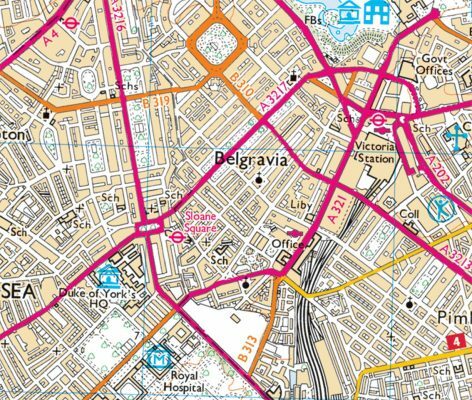 We are moving to Fitzrovia. 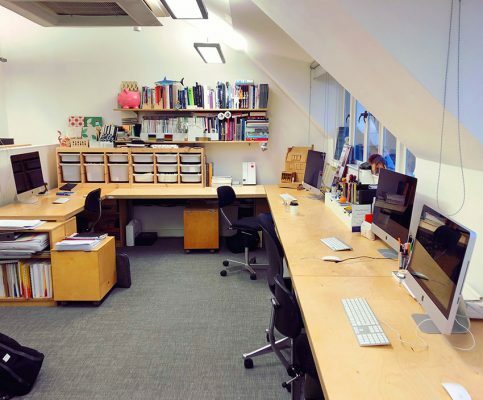 The structural engineering practice Price & Myers have kindly offered us space in their offices on Newman Street in London. It has been an amazing first year in practice and we would like to thank Richard Partington and everyone at RPA for supporting and housing us during those first 12 months. We will miss you! 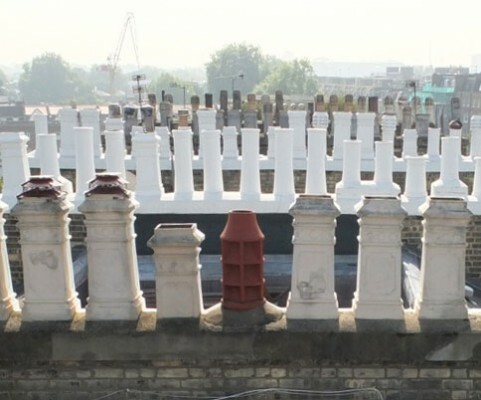 We are very excited to see our first major terrace refurbishment the Fulham house under construction. There is a great team working together in SW6 and we are looking forward to watching the project take shape over the next 6 months. Following careful negotiation with Haringey Council our first commission was granted planning permission. 104 Mews House is an exciting self-contained two-bedroom house on the site of a former garage and workshop. 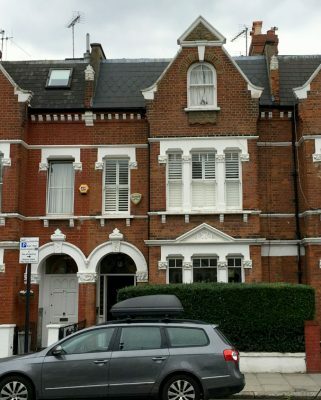 The first phase of refurbishment has now begun on the top floor of this Victorian terrace in Kentish Town. 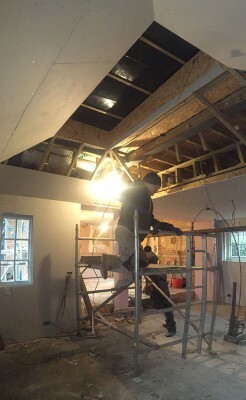 Phase two is for a ground floor extension and new kitchen that we hope to progress forward with soon. 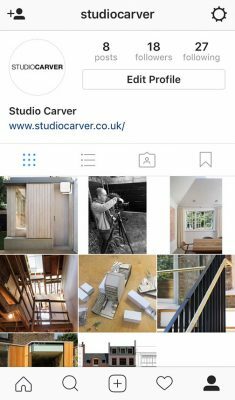 STUDIOCARVER founded to design and build nice things for nice people.